St Agnes AFC Ladies asked Illogan Ladies to join them in a minute’s silence before their fixture at Oxland Park in memory of Topsham Rugby player Lily Partridge who died following a training session for Devon Ladies. 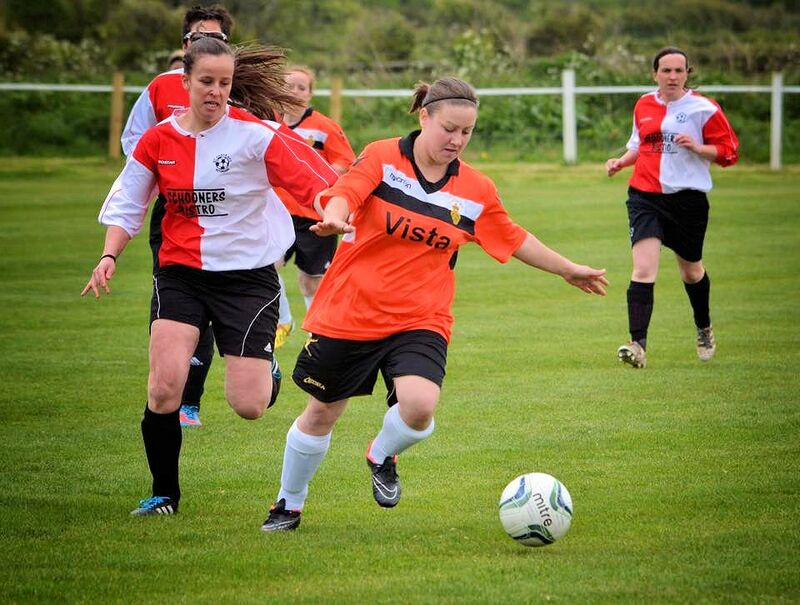 St Agnes Ladies football player Janie Curnow, who also plays rugby for Penryn, had been due to play Topsham the same day but the fixture was postponed. 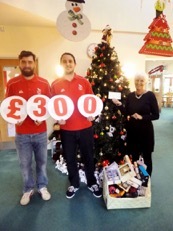 Members of St Agnes AFC 1st team paid a Christmas visit to Little Harbour Children's Hospice SW taking with them a donation of £300 raised from their sponsored Waxing Night and a hamper full of toileteries for teenagers. They were greeted by Norma Edwards of CHSW who commented "We are so grateful for the donation of £300 and thank you to St Agnes AFC for thinking of us this way. Christmas is a particularly poignant time of year for many of us and especially the families and children we have the privelege to care for. The hamper of toiletries is especially thoughtful as many supporters think of the young children at Little Harbour but to have something especially for the teenagers is wonderful”. 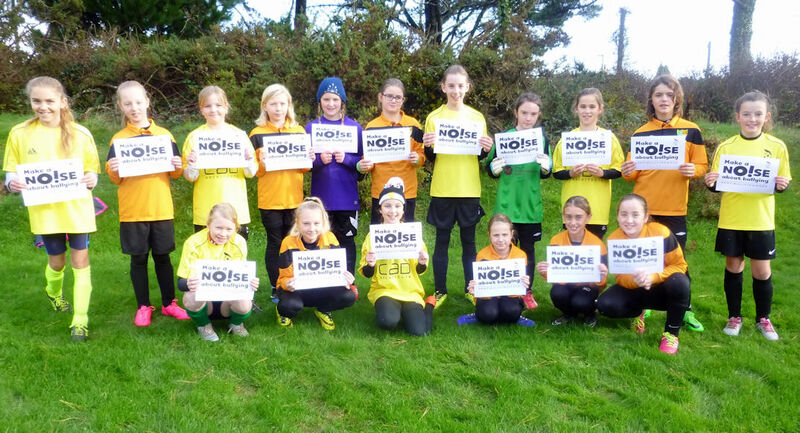 Following the FA's initiative asking grassroots football clubs to support National Anti-Bullying Week and to 'Make a NOISE about bullying' St Agnes AFC Dynamos joined together with Bodmin Girls at the weekend and made a noise! Both teams gave a joint loud shout out and are photographed together with posters of the campaign's logo which all players were given a copy of to take away and share at home and at school. Bullying thrives in a culture of silence and fear and we know that if left unchecked it can have a significant impact on mental health, even into adulthood. 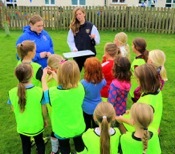 The FA and Anti-Bullying Alliance want to empower children to speak out, to equip those working with them to be aware of bullying when it happens and to help parents and carers have conversations with their children about bullying, both as a way of preventing bullying, and to help children who are worried about bullying. • Signs and indicators of Bullying. ChildLine – provides advice and support for Children young people 24/7 via www.childline.org.uk and Tel 0800 1111. There was plenty of pain on Saturday night as St Agnes AFC 1st Team held their sponsored charity waxing night at The Railway Inn. With defender Martin Bennetts and Captain Ross Maynard leading the way a variety of players legs, armprits and chests were waxed to the sound of much pain and the delight of onlookers! Also celebrating his birthday, Martin Bennetts commented "Well that didn't hurt quite as much as I thought it was going to!" The event was aimed at raising funds for Children's Hospice South West and St Agnes AFC with players collecting sponsorship and a raffle on the evening. 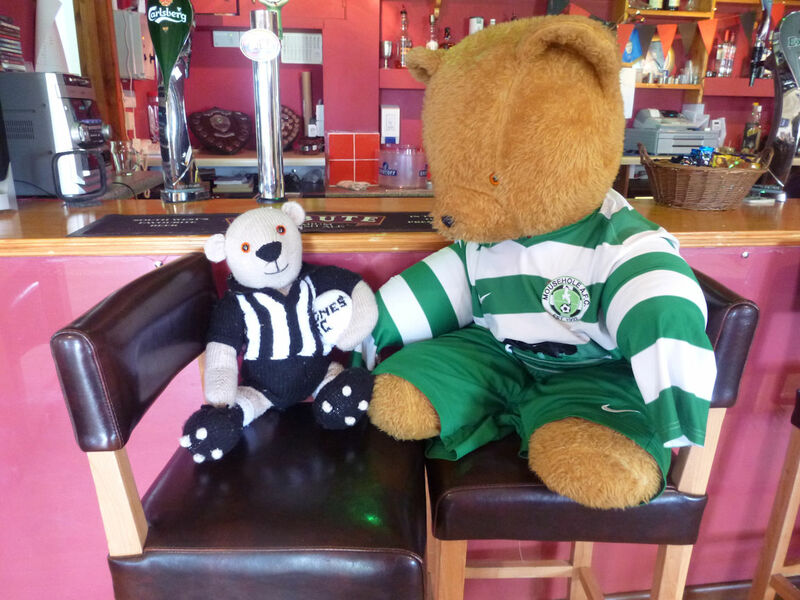 Club Chair Mandy Kimmins summed the evening up saying "Thank you to everyone who supported our Waxing Evening at The Railway Inn, thank you to Christina Pope and Lissy Stirland of Fingers and Toes, St Agnes for the excellent waxing and Kaye Antoni from Nurture for the loan of the bench. With some sponsorship still to be collected in we hopefully cleared £600 to be shared equally between Children's Hospice South West and St Agnes AFC. Thank you everyone and well done boys for being greats sport!" 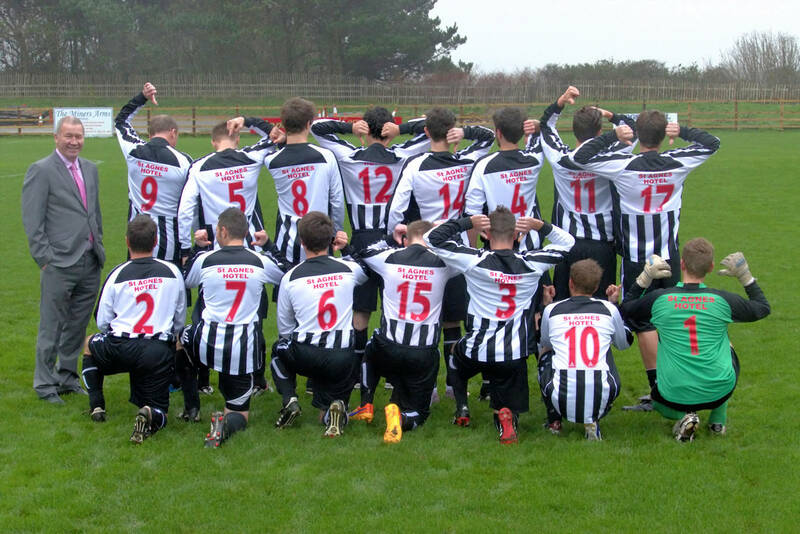 Enys Parc, St Agnes fell silent on Saturday as members of St Agnes AFC and Redruth United held a minutes silence prior to their Jolly's Combination League fixture reflecting on and remembering those involved in the recent events in Paris. St Agnes ran out 2-0 winners with Mark Bell on target for both goals. 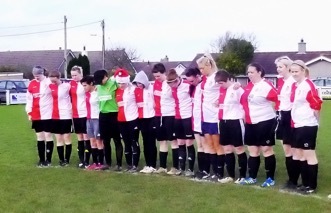 Photograph: Redruth (red) & St Agnes (b&w) observe a minutes silence at Enys Parc. 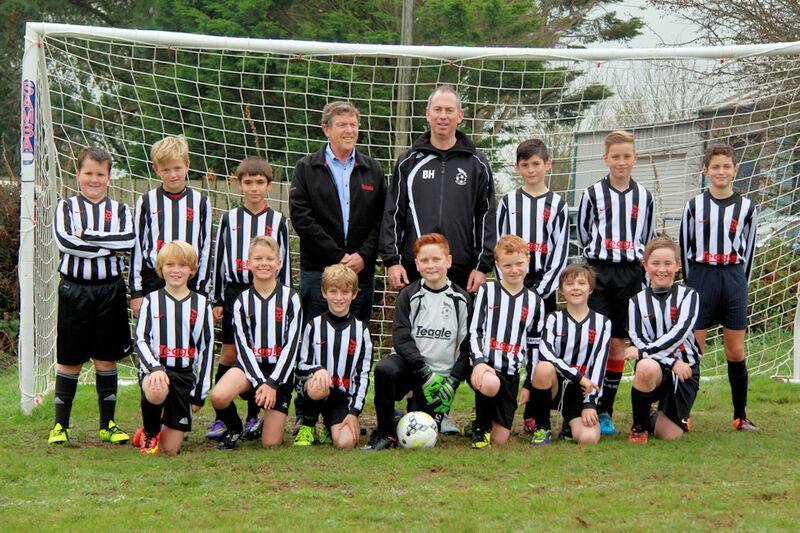 St Agnes AFC Under 11's are photographed proudly wearing their new black and white team strip generously sponsored by David Teagle of Teagle Machinery (photographed centre with manager Brian Hooper). 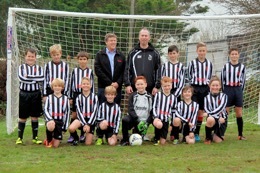 David, himself a former player/manager and Chairman of St Agnes AFC, has continued to support the club over the years through his son Robin's playing and with his grandson Noah and great nephew Sam in the St Agnes Under 11's the Teagle contact and name remains strong. 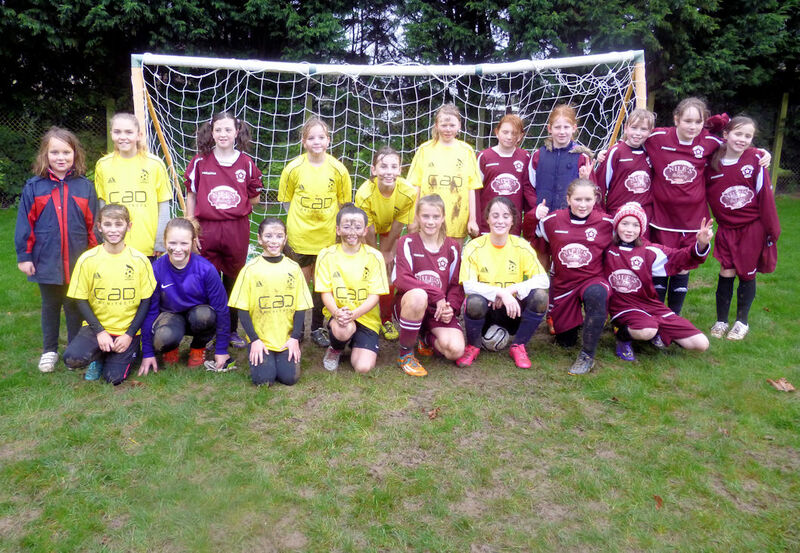 Newly formed St Agnes AFC Dynamos Girls Under 12's team hosted Charlestown Girls at Blackwater School on Saturday showing a much improved performance on their first meeting a few weeks earlier. In trying wet conditions the match was played in four quarters with Charlestown 2-0 up after 15 minutes, the second quarter saw St Agnes rally and battle well with no further score up to half time! After half time St Agnes Under 12’s scored their first league goal as Simonka Carr struck low and hard into the goal: the team and supporters were jubilant! The final score of 7-1 to Charlestown did nothing to dampen the enthusiasm of the St Agnes Dynamos who posed at the end of the fixture with Charlestown and proudly displaying their muddy 'war paint'. 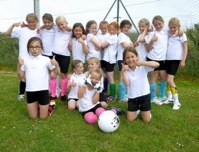 St Agnes Girls were praised by the Charlestown parents who had struggled to believe the improvement in the St Agnes team. Any girls of any level of experience interested in joining St Agnes AFC Dynamos Under 10’s & 12’s are invited to contact Charlotte Collier or Mandy Kimmins 07974 370666. St Agnes AFC would like to extend the St Agnes Dynamos to include Under 8’s and would welcome players and applications from anyone interested in joining the coaching team with support to obtain any necessary coaching qualifications provided. 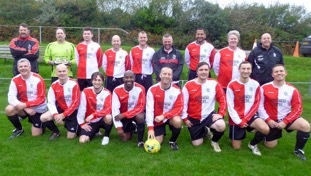 St Agnes Bolster Veterans are photographed before their Cornwall Veterans Football league Cup fixture against Boscastle on Sunday. An end to end affair with the score line 2-2 at the end of ordinary time. A thrilling penalty shoot out saw The Bolsters win 4-3 to progress to the quarter finals. Thank you to all the volunteers who help make youth football happen from all at St Agnes AFC! 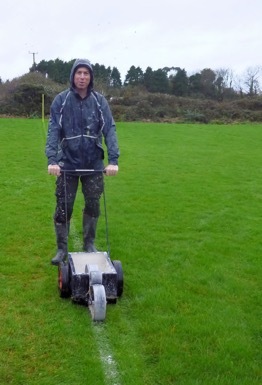 At 7.30am on a very wet, windy and grim Saturday morning St Agnes AFC Under 11's Manager Brian Hooper was spotted marking a 9-v-9 pitch at Wheal Butson, St Agnes in preparation of youth fixtures that morning. 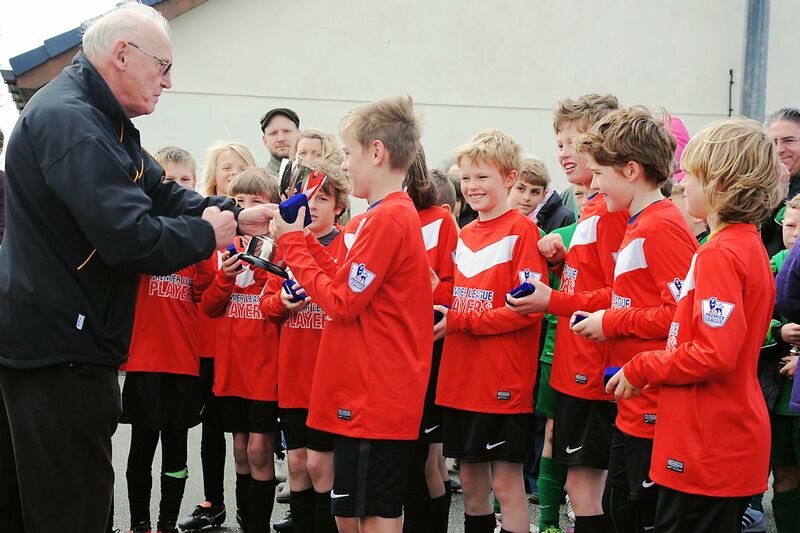 Brian is just one of many volunteers at St Agnes AFC and hundreds across Cornwall who make football happen for the youth and senior teams. On behalf of all those players/parents and supporters a huge "Thank You!" The FA has employed Coach Mentors to support the development of grassroots clubs and their coaches. 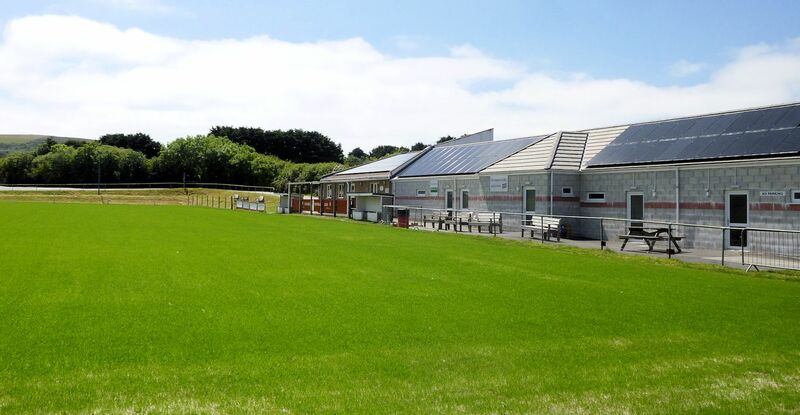 In partnership with Cornwall FA the 2015/16 season will be the second season of the programme in full and provides the opportunity for club coaches to receive mentoring to support their development. 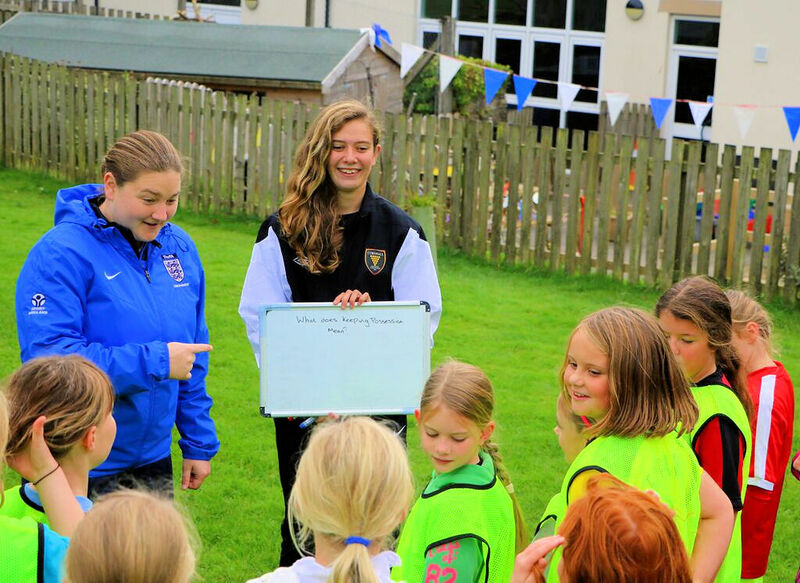 As a Charter Standard Community Club St Agnes AFC were offered the opportunity to work with an FA Mentor Tash Mills over 2015/16 and 2016/17 Season. 1. 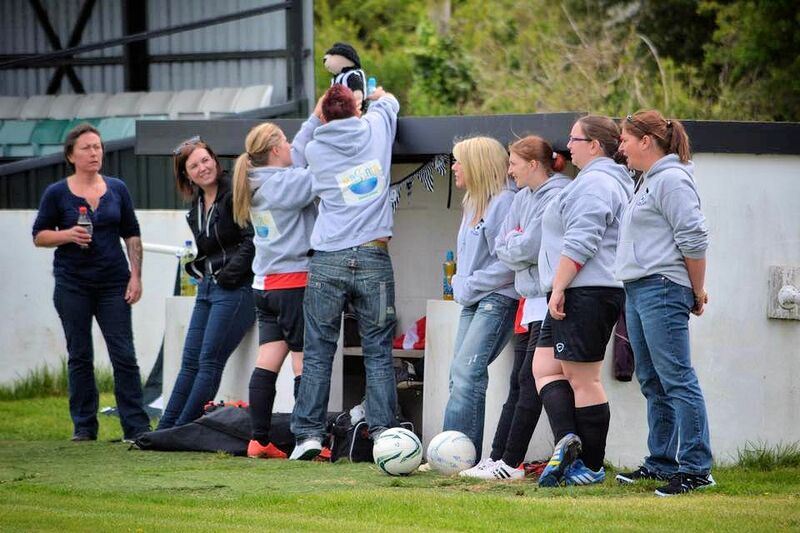 Improve coaching in grassroots football. 2. 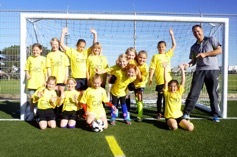 Up-skill and support coaches to develop knowledge, confidence, and delivery skills. 3. 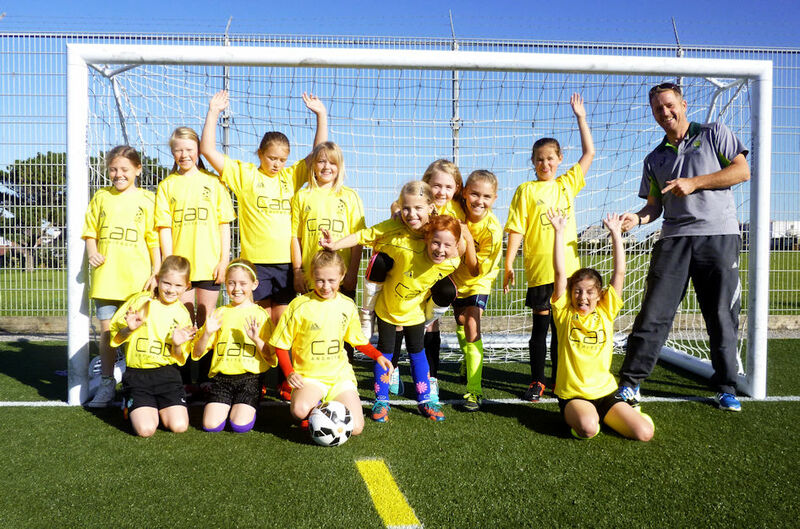 To bring the Future Game to life in grassroots clubs. 4. To improve match day behaviours of all stakeholders. 5. To retain coaches in the game. 6. To retain players in the game. 7. To support individual coach learning. 8. To cascade the network of mentors and leave a ‘legacy’. · Support with action planning. · Whole club workshops – practical and/or theory. · Support to develop a Philosophy/consistent approach, and an identity for your club. · Observation, feedback, and support of match-days and training sessions. · Support for developing a sustainable programme. · Observation and support of sessions. · Training and match-day support and feedback. · Individual action plans – learning programmes. 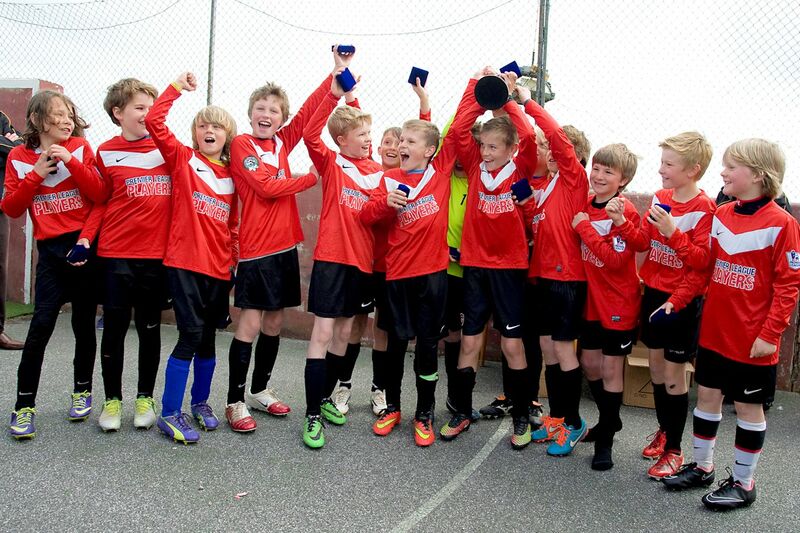 · Support for developing players across the ‘four corners’. · Support for structuring sessions to meet the needs/expectations of different players. · Support for integrating coach education content. · Nominate at least one key contact who will work with the Coach Mentor to develop the programme at the club. 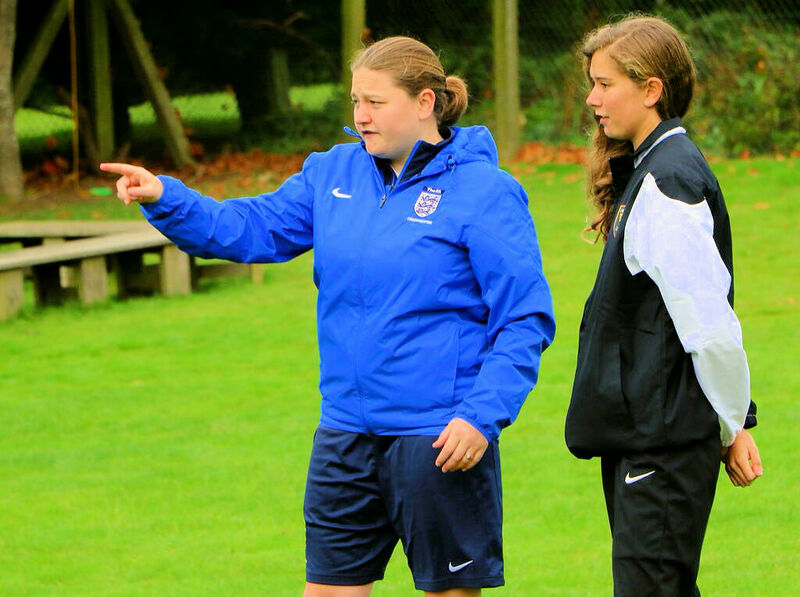 · Ensure all coaches are members of the FA Licensed Coaches Club. · Where coaches aren’t yet members of the FA Licensed Coaches Club, be prepared to support the Coach Mentor and coach towards membership. · Be receptive to new ideas/methodologies. · Commit to keeping a reflective diary of session delivery. · Attend at least one County FA CPD event relevant to the needs of the coach, and appropriate to the age group he/she coaches. 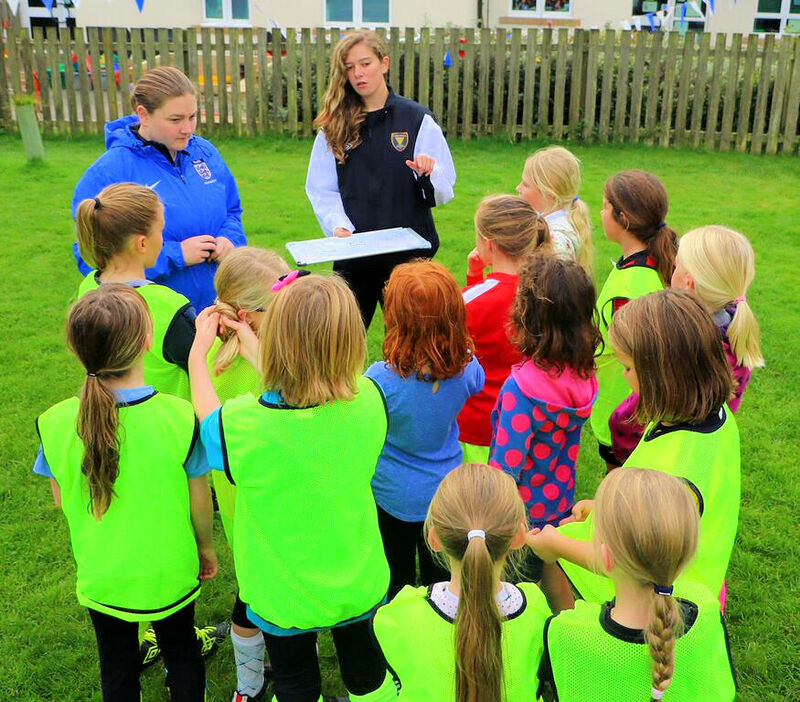 · Identify and appoint at least one candidate to attend FA Mentoring Adults Course and become lead mentor within the club to ensure a sustainable ‘legacy’ programme is in place once the Coach Mentor’s initial support concludes. Having been accepted on this FA Coach Mentoring Scheme St Agnes AFC chose coach Rhydian Purnell to become the lead Coach Mentor, Rhyd a coach and now veterans player within the club said, " I think this FA Mentoring Programme is excellent I have already been working with Tash and I hope to develop myself and my team and use my role to help to move the club and its coaches forward as one creating a legacy for the future of St Agnes AFC." 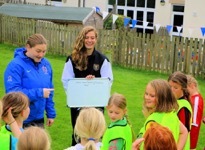 FA Mentor Tash Mills who is herself a UEFA B Coach with Youth Module 3 said, " I am delighted to be working with St Agnes AFC and my Mentoring role has given me the opportunity to put something back into grass roots football and ultimately have an impact on the game by sharing knowledge and best practice and offer support and guidance. 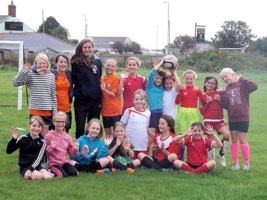 St Agnes AFC Coach Girls Under 10's & 12's coach Charlotte Collier who is working with and being mentored by Tash Mills commented, "The FA Coach Mentoring is important so that I can see what I'm doing well and how I can get around problems that may occur in the session." Charlotte who is presently doing her FA Level 2 Coaching course has also been selected to attend the National Talent Camp at Loughbourough University for the most promising coaches, athletes and officials in December as one of only 2 selected from Cornwal and said, " I'm amazed to be selected for the talent camp, and I'm really grateful for the opportunity." 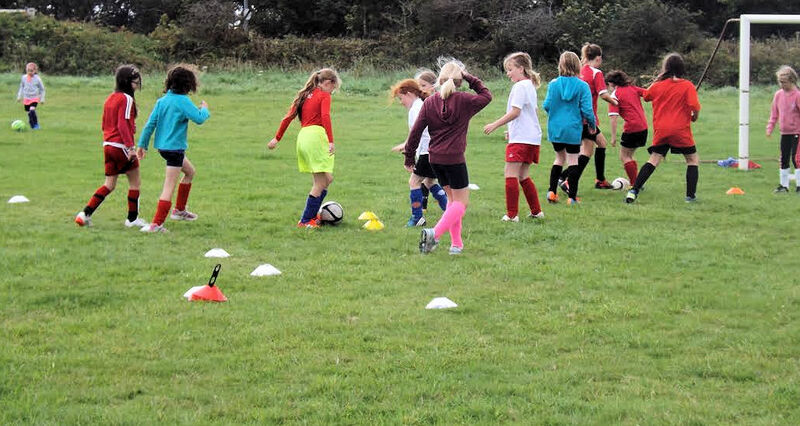 St Agnes Chair Mandy Kimmins said, "Its been a real eye opener having Tash on board and I know that all the adult and youth coaches who have already started working with her have found it very useful. 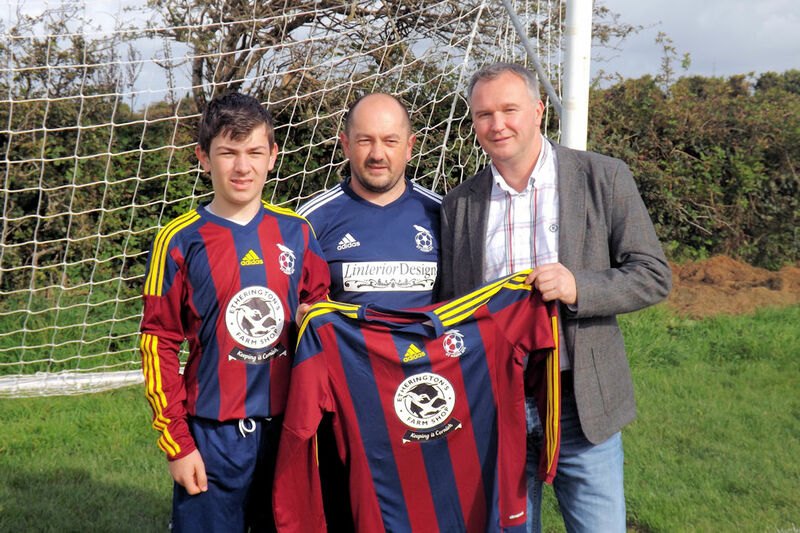 Its a great way of the FA putting support and knowledge back into grass roots football." Thank You Everyone! 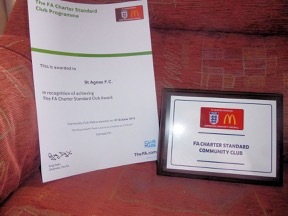 Very proud of that our plaque and certificate arrived from the FA today: St Agnes AFC Charter Standard Community Club! 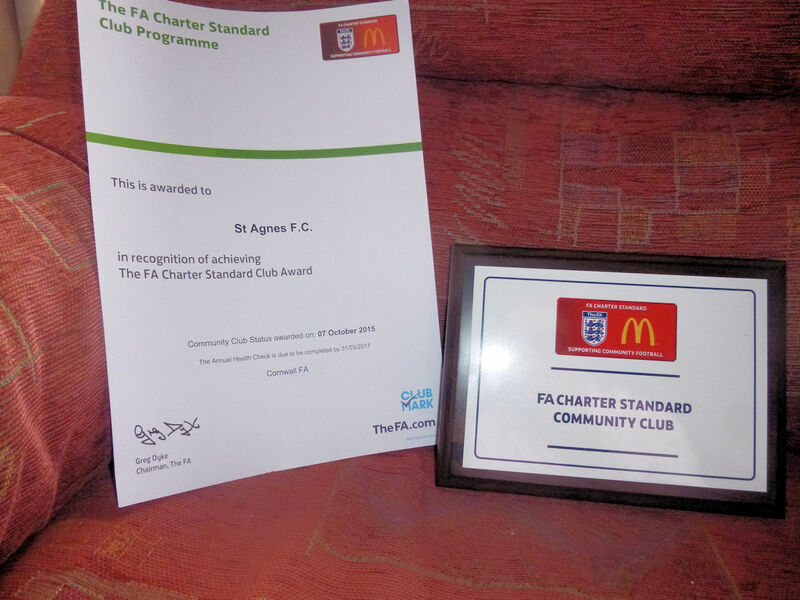 Having previously held the FA Charter Standard Development Club Award we would like to thank all those volunteers/coaches/supporters/players etc who have worked so hard to achieve this. Thank you! 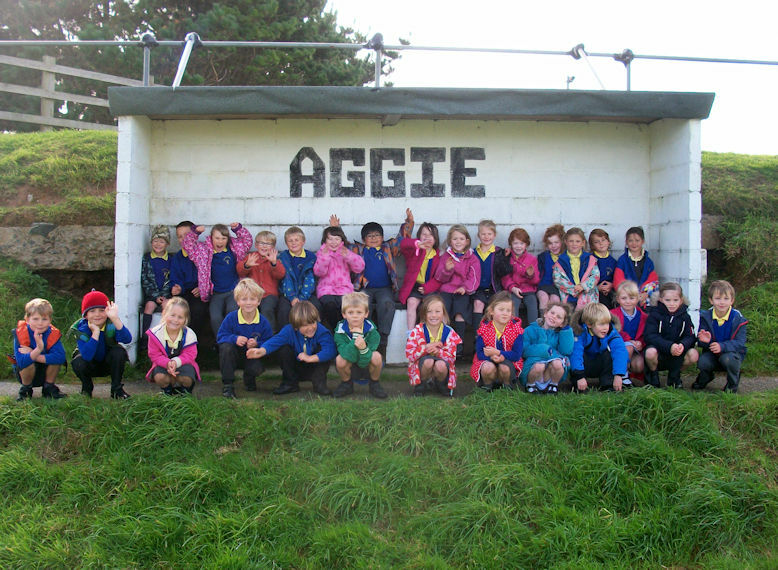 At St Agnes Sports Club the children visited the St Agnes Gigs and Netball Court trying out life jackets for size and running and catching on the court area. They threw rugby balls and took football penalties with the finale of the trip a tour of the changing rooms and a chance to try on the St Agnes AFC first team football shirts with one young lad so excited he tried the socks and shorts too! Aubrey commented, "I love football and sports and this was great fun today". Teacher Deborah said "Thank you again for having us and for filling the time so brilliantly! It was great for them to try such a range of sports in the correct environment too. 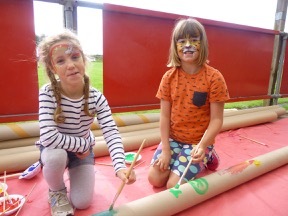 The children thoroughly enjoyed the morning and the weather was on our side!" 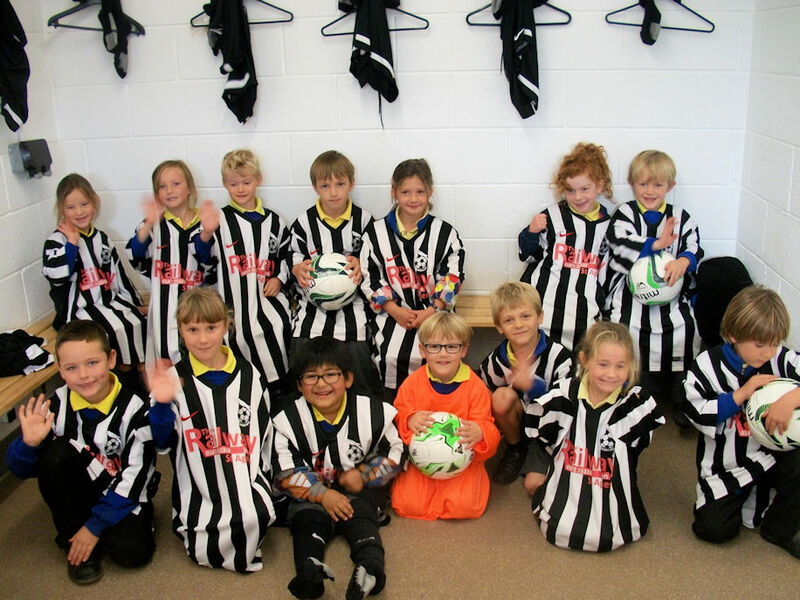 Mandy Kimmins replied "What a fantastic group of children, what fun to show them around all St Agnes Sports Club has to offer!" 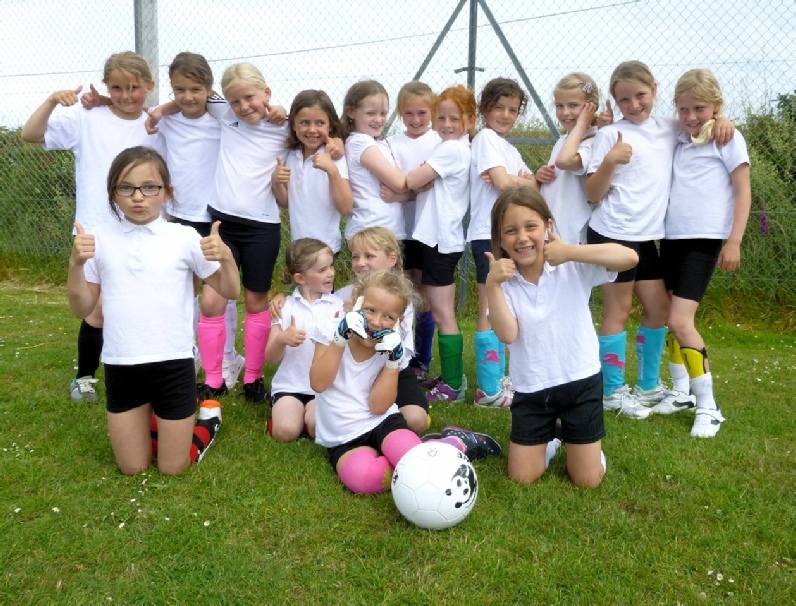 Later the same day St Agnes Beaver Group held a multi-sport event at St Agnes Sports Club, which was also a triumph. St Agnes AFC Dynamos, Girls Under 10's & 12's, are really grateful to new sponsor CAD Architects Ltd from Truro for their new playing shirts. The girls were given their own choice of colour for their first season and are photographed in the new bright yellow shirts at the Cornwall Girls Football League Festival on Sunday with sponsor Jeremy Bradley of CAD Architects Ltd. 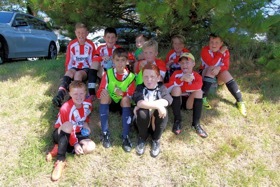 The St Agnes AFC Dynamos only started a few weeks ago and thoroughly enjoyed giving a great performance at the Festival with the Under 12's winning one of their fixtures and the Under 10's scoring their first goal. 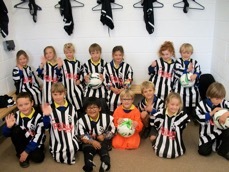 Jeremy Bradley commented "Well done St Agnes AFC for inspiring a new bunch of girls. 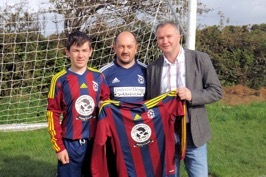 CAD are delighted to be involved and keen to support local sport". 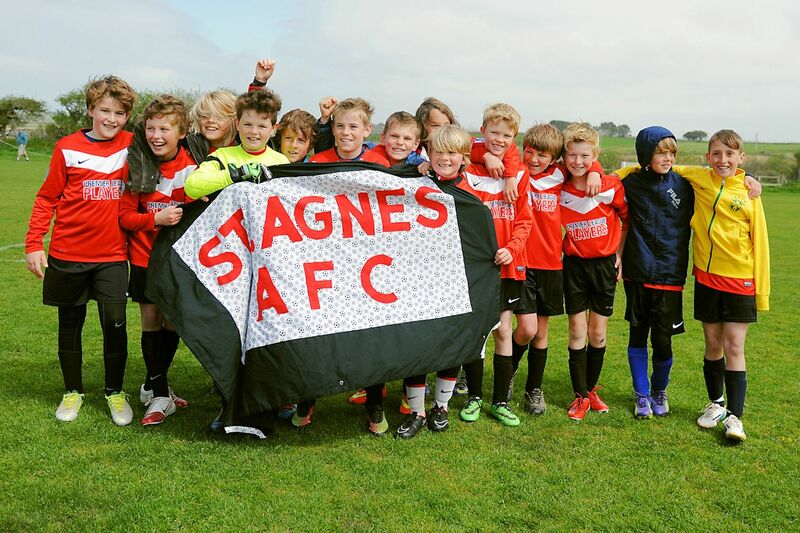 St Agnes AFC Under 11's invited their opposition St Ives to join them in a minutes silence in memory of 12-year-old Oliver Croker from Devon who sadly died following a freak accident at a football match last week. 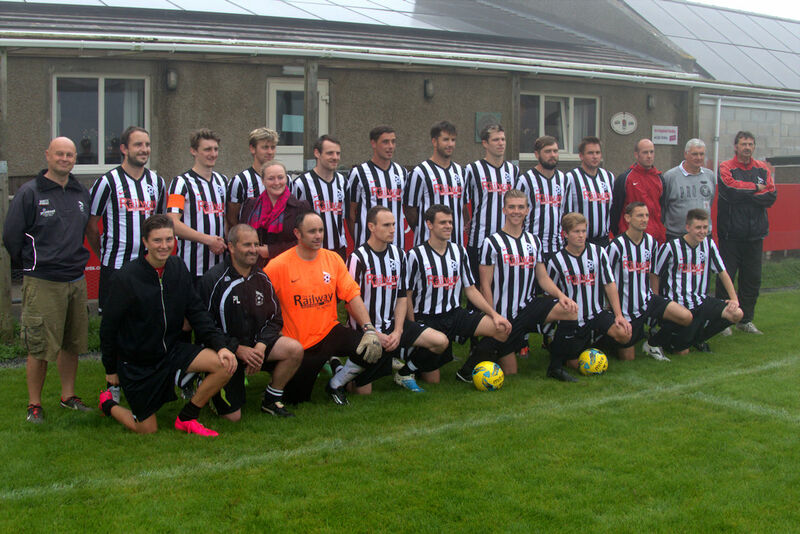 The teams are photographed before their match on Sunday. St Agnes AFC Youth players Noah and Rhys made sure on Sunday that everyone at the first Under 11's home fixture of the season were aware of the new Club Respect Posters displayed at youth home fixtures. 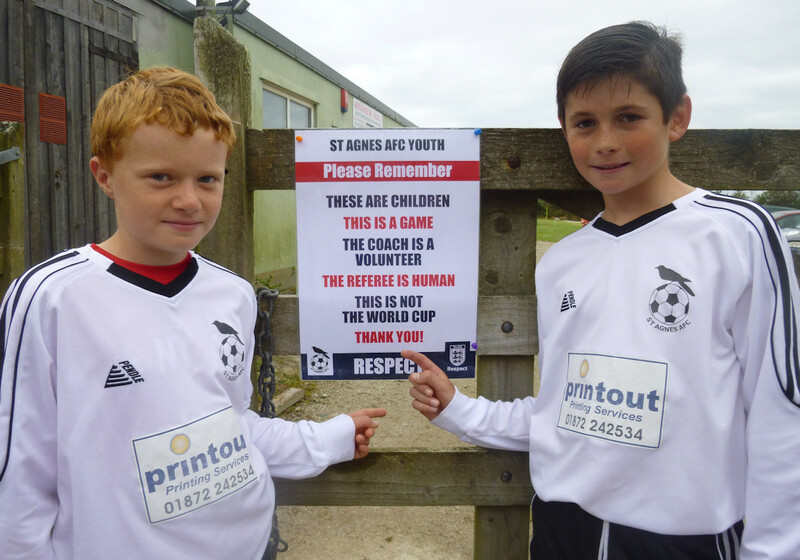 The posters aim to remind players, coaches, parents and spectators of the key messages promoted in the FA Respect Campaign. 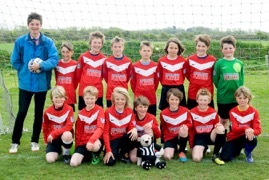 St Agnes AFC under 13's hosted Penzance in their first KYFL fixture of the 2015/16 Season at home at their Wheal Butson pitch. With several new players in the squad they put up a great spirited performance with Pat scoring two great goals the final score 5-2 to Penzance. 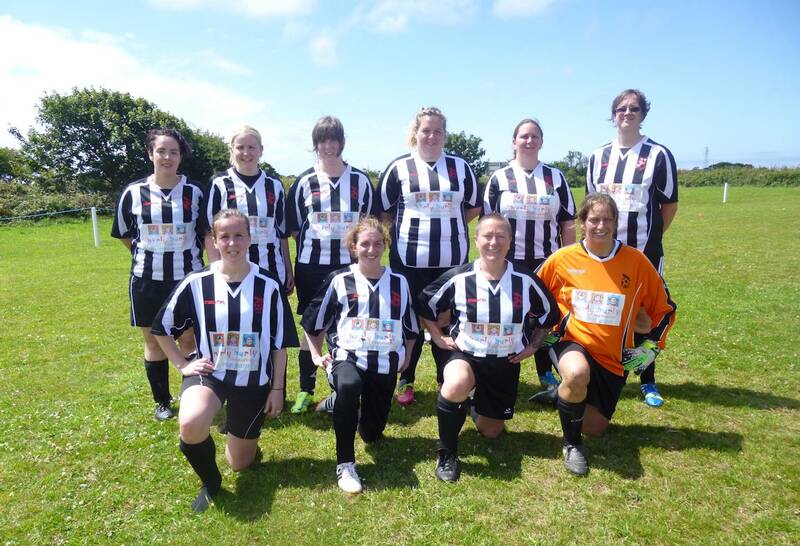 St Agnes AFC Ladies started their 2015/16 Season with an unexpected share of the spoils facing new side Falmouth at home Enys Parc. On Tuesday, with only 6 players available it looked unlikely St Agnes would even raise a side but an appeal for players saw 16 ladies of varying experience turn up to play! The first half saw St Agnes open the scoring through Rachel Blackham hitting it low under the Falmouth keeper and Suzanne Hurrell scored a second with a fine strike. 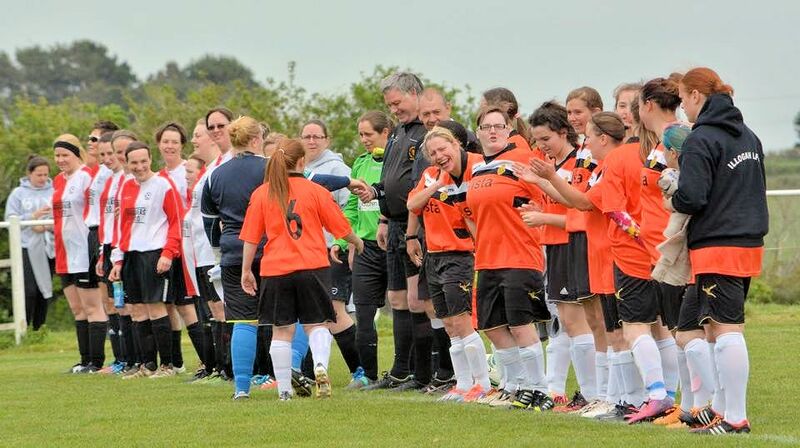 The second half saw St Agnes tiring with their mixed ability and fitness levels showing as Falmouth brought the game back at them scoring two to equalize. St Agnes battled to hold on as Falmouth took the upper hand and a fantastic one on one save from keeper Julie Windram in the dying minutes left the score 2-2. 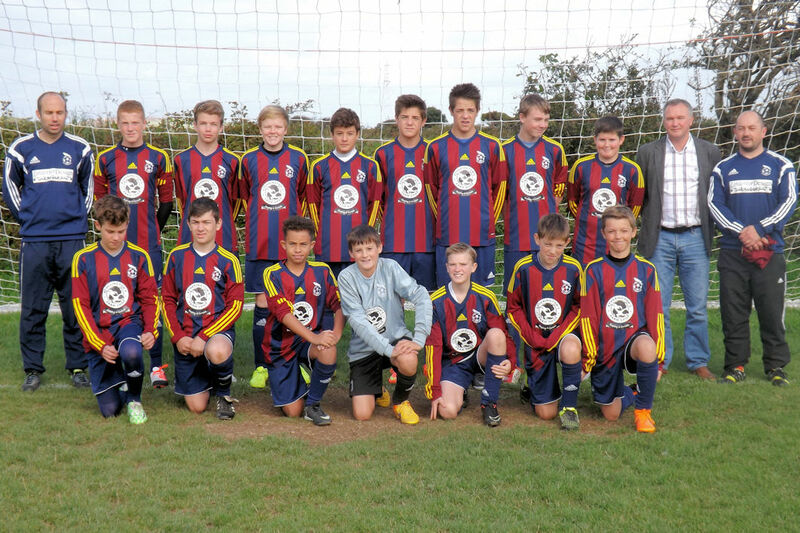 St Agnes Under 14's new kit for 2015/16 with thanks to Etherington's and Linterior Design. 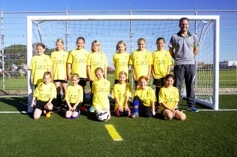 St Agnes AFC is very excited to announce the formation of the St Agnes AFC Dynamos Under 10's and 12's Girls! The squad started following a school club link with Mithian School with a fantastic group of very keen and capable young players eager to play in the club environment. 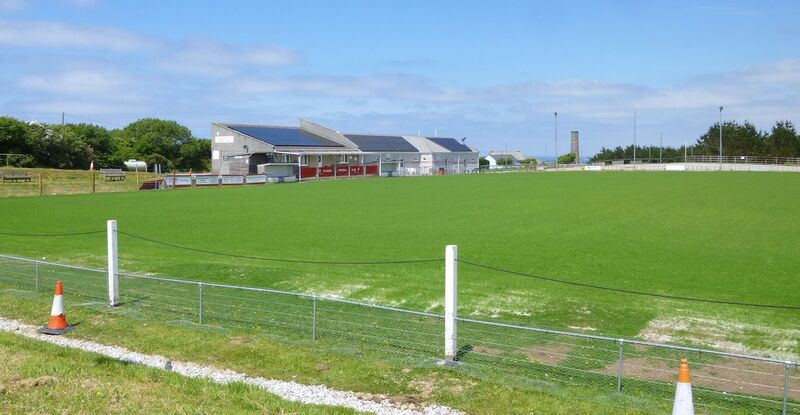 Training started in August and has also attracted some excellent footballers from the Blackwater area too. Following a meeting with Warren Parker of the CCFA St Agnes AFC were invited to include a pre-existing group Truro Dynamos and their coach Charlotte Collier and the St Agnes Dynamos Under 10's & 12's were formed. 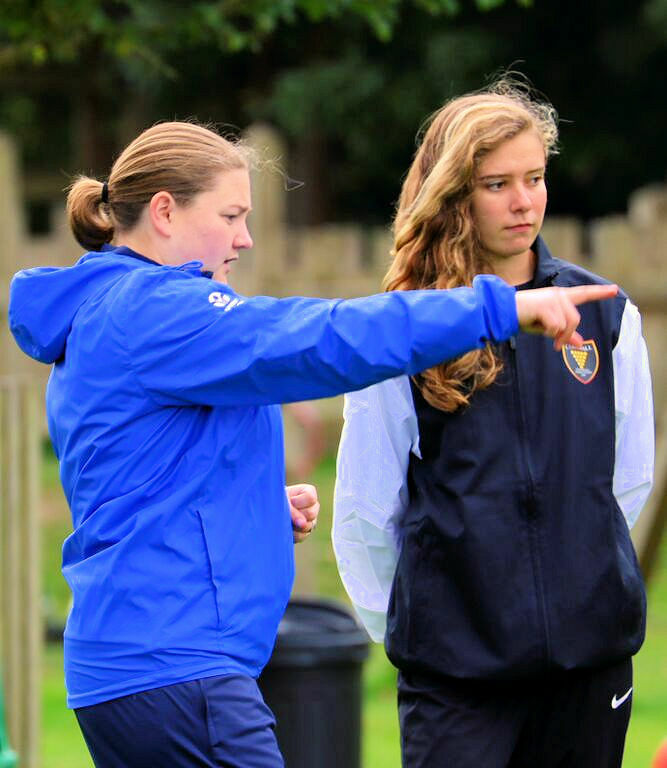 Charlotte is presently completing her Level 2 Coaching Course and said "I am really excited to be coaching at St Agnes AFC and look forward to the coming season". Mandy Kimmins, Chair of St Agnes AFC, commented"Wow it looks like the girls teams are really going to take off this year and its amazing to welcome Charlotte on board to coach as well!" 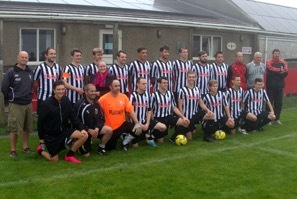 St Agnes AFC 1st team are photographed in their new kit for the 2015/16 Season with sponsor Anouska House from The Railway Inn, St Agnes supporting the team for the 6th consecutive season. 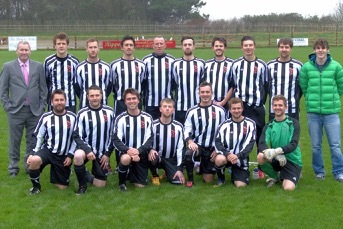 St Agnes AFC Captain James Springall commented "Great kit this year thank you to Anouska and all at The Railway Inn". 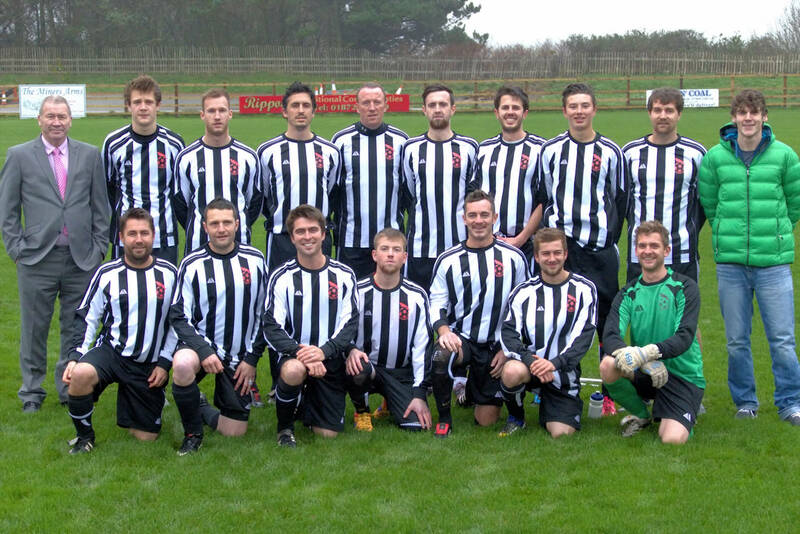 Anouska House said "We are delighted to be sponsoring St Agnes AFC first team again this season its really important to us to support our local club and sport within our community". Missing: Ryan Bull, injured goalkeeper & Dave Keveren, assistant manager. 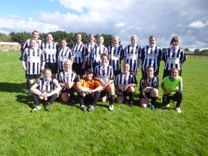 St Agnes Ladies hosted a slightly depleted team from the newly formed Mousehole Ladies on Sunday at Enys Parc. 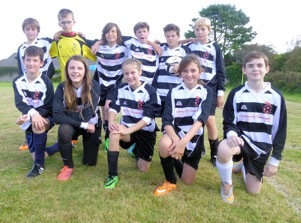 With players mixed up to make up the numbers an entertaining fixture took place with St Agnes narrowly winning 2-1. Returning to play this season Jainey Curnow scored the St Agnes opener, her first ever at ladies football. Georgina Triggs scored the equaliser for Mousehole then Lyndsey Cowl, the only remaining player from 12 years ago when the St Agnes lady’s team started, scored the winner! 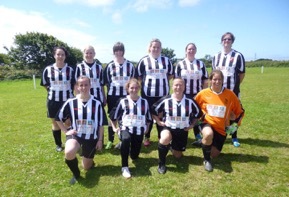 A great pre-season opportunity for St Agnes Ladies, which gave the chance for several new players to have their first ever 11-a-side run out against a great spirited new Mousehole outfit. 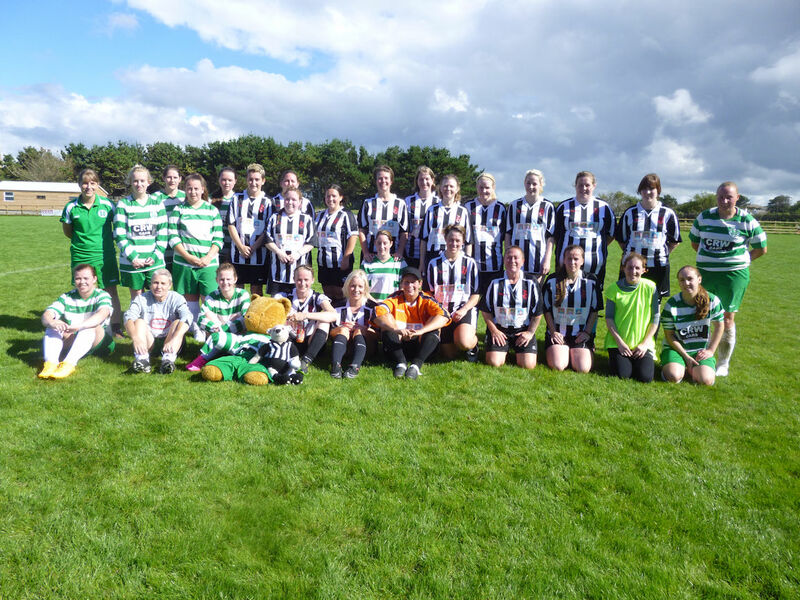 Photographed are St Agnes Ladies in black & white and Mousehole in green & white with both club mascots getting in on the action! 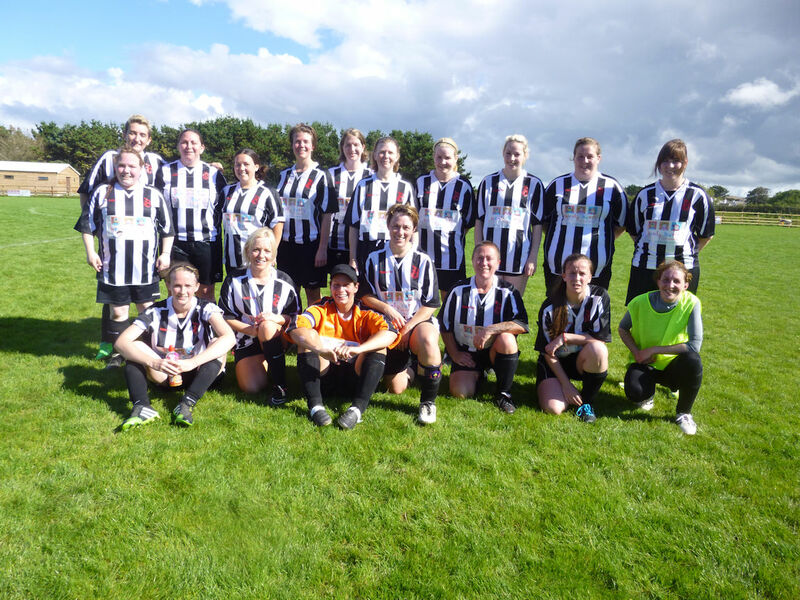 St Agnes Ladies would invite any ladies interested in having a go at ladies football for the 2015/16 season to contact manager Mandy Kimmins on 07974 370666 or email bolsterpaper@gmail.com Experienced. beginners and returners all welcome! St Agnes AFC Ladies are really grateful to Kitchen Kit Ltd of Threemilestone for their very generous sponsorship of new long sleeved playing shirt for the 2015/15 Season. 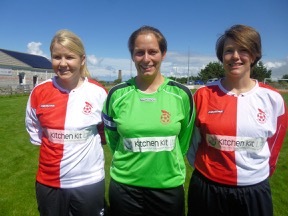 Photographed are team captain and goalkeeper Julie Windram with players Amy Brooks and Laura Hockett in the smart new shirts. 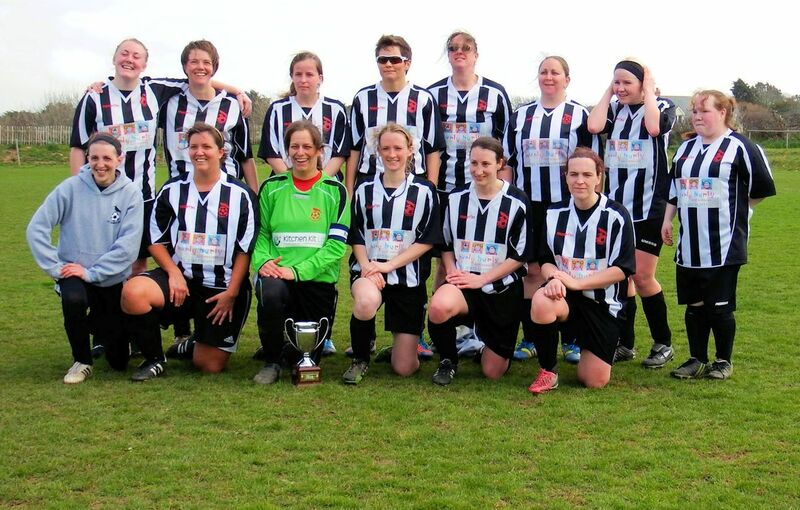 With five of last season's players retiring St Agnes Ladies would invite any ladies interested in joining their squad for the 2015/16 season to contact manager Mandy Kimmins on 07974 370666 or email bolsterpaper@gmail.com Experienced. beginners and returners all welcome! 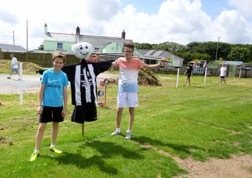 Friday 21st August 2015 saw the 5th anniversary of the loss of St Agnes AFC stalwart Sylvia Chapman to breast cancer, aged 50 years, and the club marked the date by hosting a charity fundraising weekend in her memory at Enys Parc. 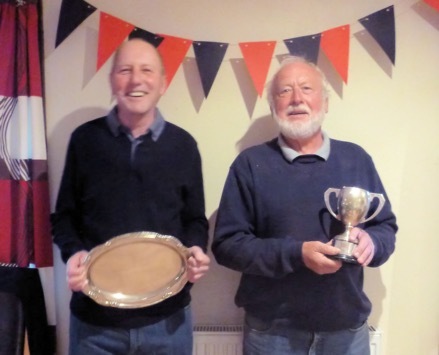 Friends of Sylvia hosted a Cornish themed meal evening in the clubhouse. The evening, which included a raffle and mini auction, raised £930 for the Mermaid Centre. 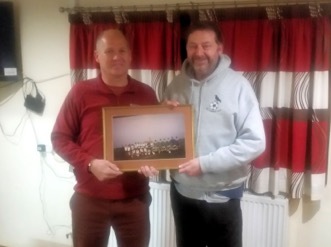 On Saturday 22nd, following the St Agnes AFC 3-1 win over Falmouth Town, an auction and raffle in the club house raised £310 for Prostate Cancer UK. On Sunday morning mini-footballers from St Agnes AFC and mini-rugby players from St Agnes RFC took part in a fun morning at Enys Parc playing sport and other activities including totem pole painting, apple bobbing, raffle, face painting and more: including cakes and bacon rolls raising £360 for Teenage Cancer Trust. 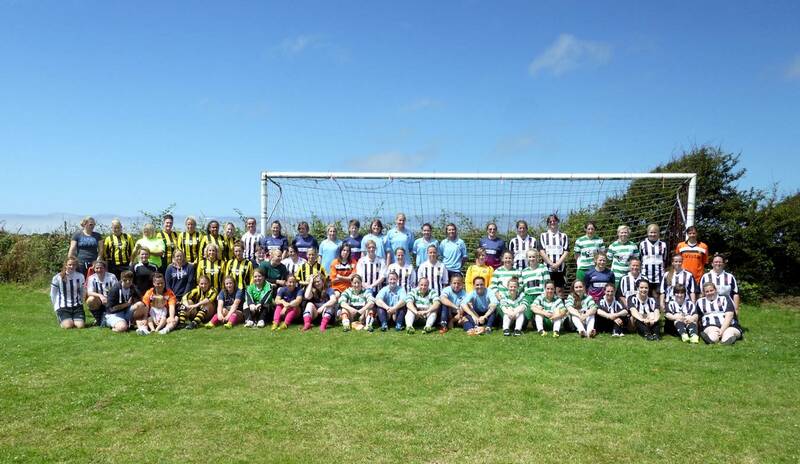 The weekend concluded with St Agnes AFC Ladies hosting Mousehole Ladies with a 2-1 win in Sylvia's memory and a lady’s raffle, which raised a further £60 for the Mermaid Centre. Club Chairman Mandy Kimmins commented "I am incredibly proud of what we have achieved this weekend. Sylvia was a long time supporter of St Agnes AFC, a committee member and a founder member, player and lines person for our ladies team as well as being our friend. The support from everyone this weekend who has donated or attended the weekend events has been really moving and a fitting tribute. On behalf of the whole club I would like to say an enormous thank you"! Sylvia's daughter Kelly commented "The weekend has been fantastic, thank you everyone". Photo's: Sylvia Chapman in her St Agnes AFC Ladies kit at Cancer Research UK Race for Life with her team. 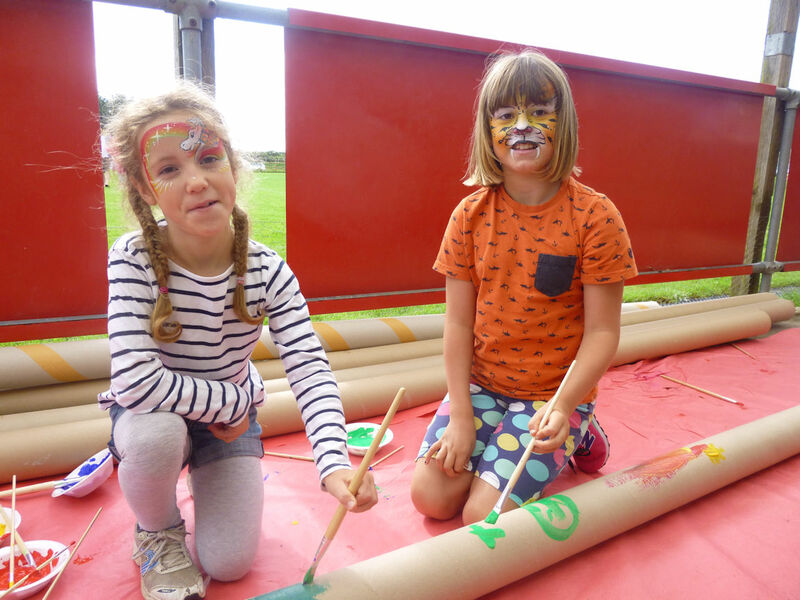 Martha and Olivia with faces painted decorating Totem Poles. 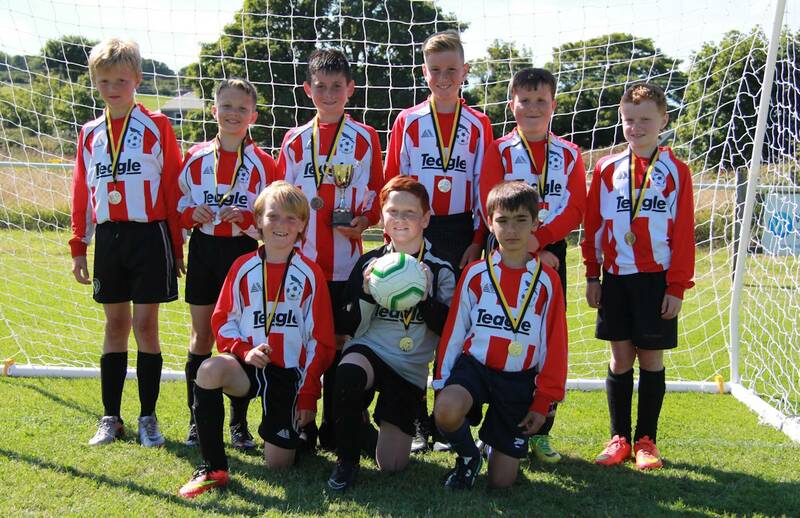 On Saturday 8th August St Agnes U10s competed in the St Day AFC David Searle Cup, 7-a-side football tournament. 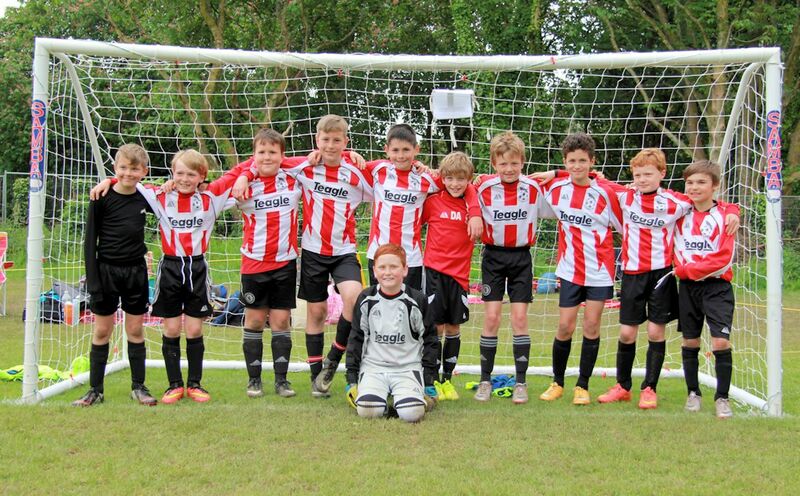 Playing 7 games in the league stage they progressed to the semi-finals where they were up against St Ives who had not conceded a goal for the whole competition. 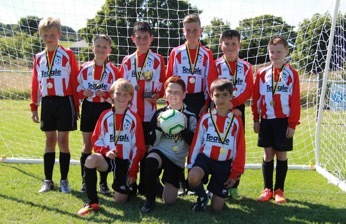 St Agnes played their best game of the tournament beating St Ives 4-0 and went through to the finals, narrowly loosing 1-0 to Illogan, finishing runners up. This teams’ best performance in a local tournament so far. 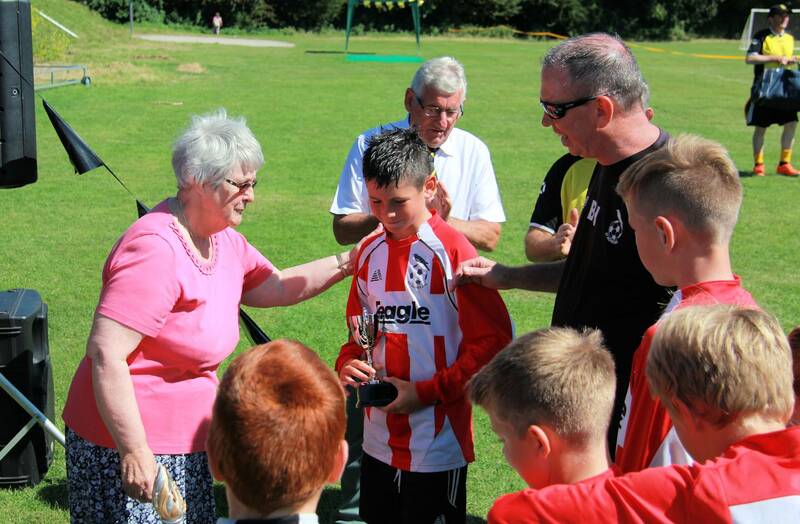 During the league stage, the player's sportsmanship was scored by the referees and St Agnes were the highest placed team winning the inaugural Kirwin Prisk Fair Play Cup. The managers and parents were very proud of the players for their attitude, commitment and team play throughout the day. 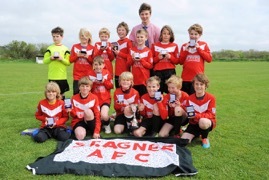 They now look forward to the new seasons as U11s. Youth football players representing Newquay AFC and St Agnes AFC presented £345 to Ronald McDonald the clown mascot for McDonald's House Charities today. The donation forms half of the proceeds they had raised at a joint club pre-season Football Fun Day with Sponsored Penalties, the rest being divided equally between the clubs. Player Joey commented"We had a brilliant day playing football and I would hope that if I was in hospital far away my family could come and stay near me to help me feel better". 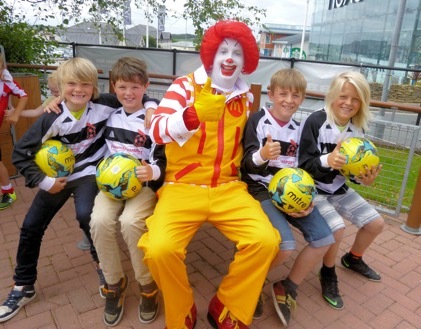 The youth players were all treated to a Happy Meal and ice creams at McDonalds at Fraddon by employees Debbie Matthews and Katie Venton who are both involved with football at one of the clubs and helped with the event. 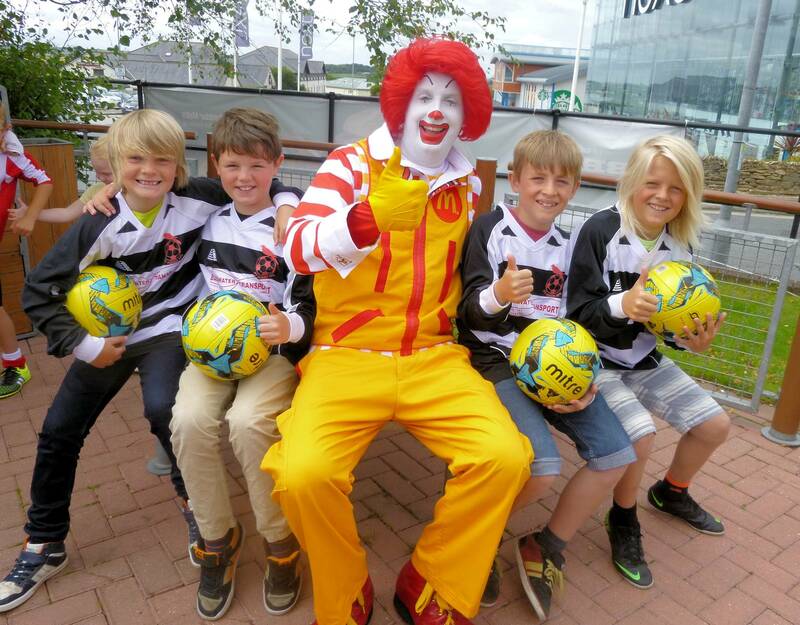 Clown Ronald McDonald commented "I can't play football in my size 20 big red feet but thank you guys for raising so much money". 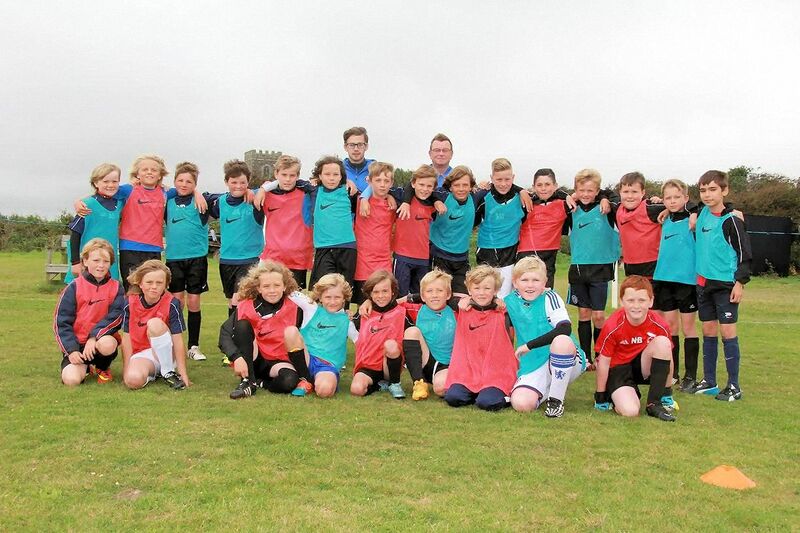 24 youth players from St Agnes AFC enjoyed 2 days with FA Skills Coaches Paul Rowe and Dominic Edwards who were hosting their first club based FA Skills Camp in Cornwall. Held at Chiverton Park the players absolutely loved the coaching and progressions which were engaging and player centered. At the conclusion Paul Rowe said "We have had a fantastic day working with a wonderful bunch of children who really wanted to learn. They have been a credit to their club. These were the first club days we have run and plan to run more in the future". Coaches from St Agnes AFC were invited to observe and join in on the days and 1st Team Manager and Coach Martyn Kimmins commented"I was really impressed with what a talented group of young players we have within our club and how they really tried to transfer their learning from the morning sessions into the games in the afternoon". 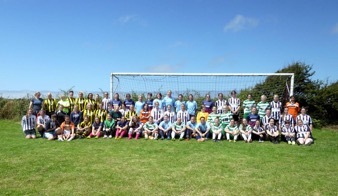 St Agnes AFC Ladies hosted their 7th Annual 7-a-side Tournament on Sunday with almost 70 ladies across seven teams taking part. 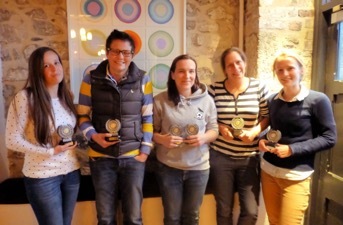 The Tournament was run in a League format with Culdrose Ladies coming top, closely followed by new team Mousehole after their relocation from Penzance this season. 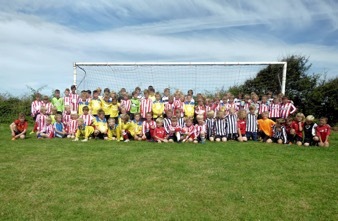 Procceds raised from the event are to be shared beween Cancer Research UK and St Agnes AFC. St Agnes AFC Ladies Manager Mandy Kimmins congratulated all the teams and players taking parts and said "It has been a great event again this year and its marvellous to see so many ladies playing today. 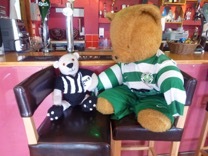 Thank you to our referees and to everyone who has helped in every way and to The Chiverton Arms for their hospitality". 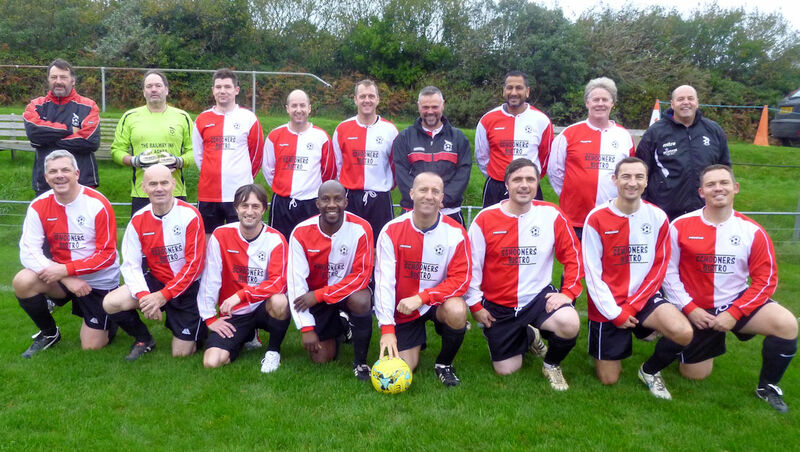 With five of last season’s squad hanging up their boots and retiring St Agnes AFC are keen to add numbers for the 2015/16 Season and would welcome players of any ability, 16 years and above, to join their friendly team for football, fitness and fun. Please contact Mandy Kimmins on 07974 370666 or email bolsterpaper@gmail.com. 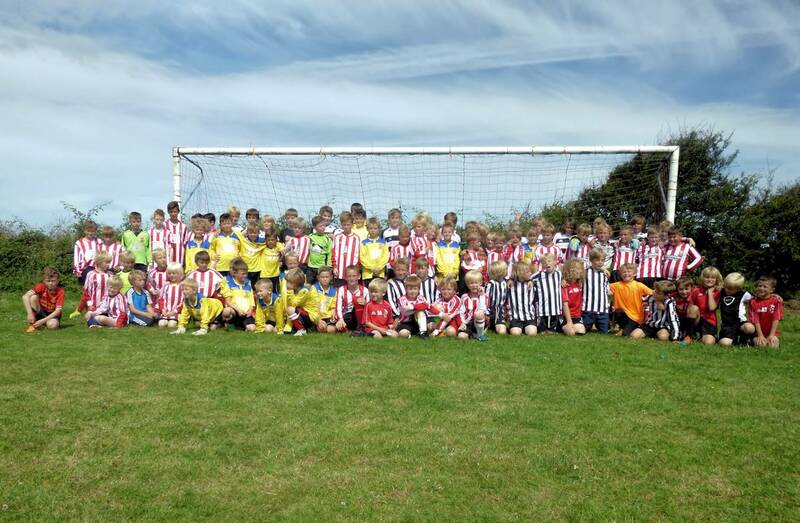 St Agnes AFC hosted a Charity Fun Day on Saturday at Chiverton Park in conjunction with the local McDonalds franchise with over 100 youth players from teams of Newquay Youth and St Agnes AFC Youth taking part in friendly fixtures and sponsored penalties. The event was well supported and raised over £600 with half of the proceeds being donated to Ronald McDonald House Charities providing free ‘home away from home’ accommodation at hospitals across the UK, for families with sick children. 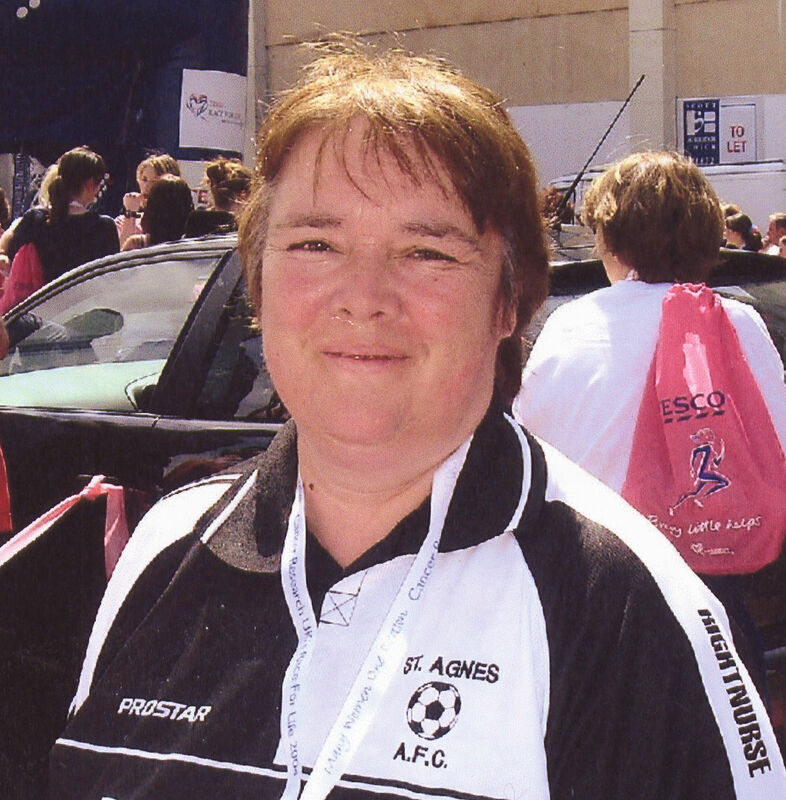 St Agnes AFC Chair Mandy Kimmins said "Well done to St Agnes coach and McDonalds employee Katie Venton for her planning and organising of an excellent event with brilliant football and sponsored penalties. 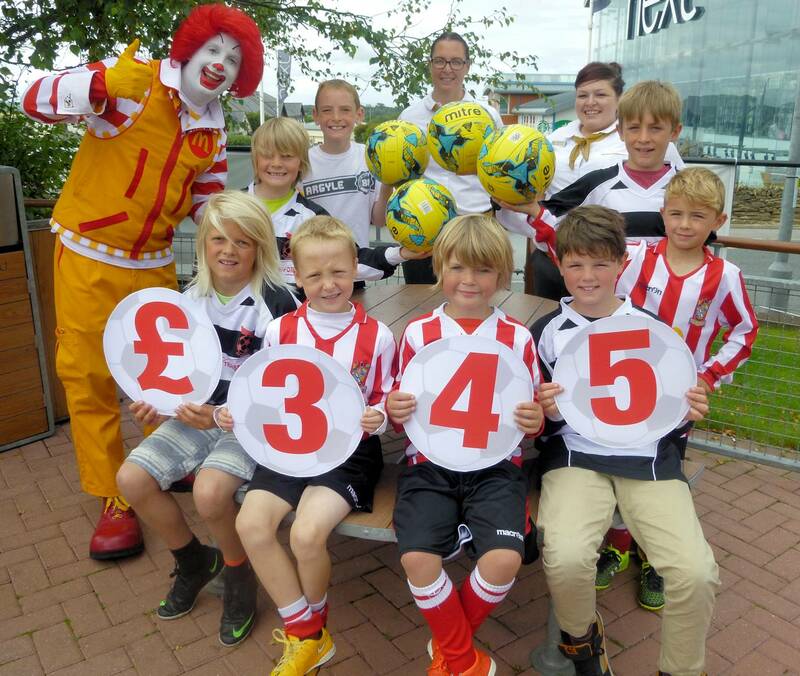 There is still some sponsorship money to come in and we are thrilled to be donating over £300 to Ronald McDonald House Charities to help provide accommodation for families of sick children in hospital right here in Truro". St Agnes AFC Ladies have formed a School Club Link with Mithian School who hosted their first home fixture of the new team v St Agnes School this week. With a full crowd of parents and supporters watching the girls played a fantastically entertaining match to the delight of everyone including themselves! 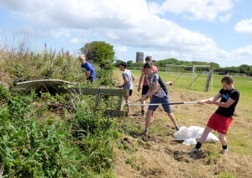 Chiverton Park was a hive of activity on Saturday as almost 40 volunteers from across the club’s Under 15's and 16's squads, coaches and parents helped complete some valuable pre-season maintenance. 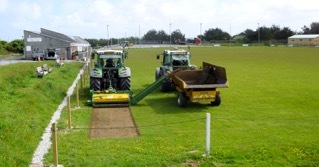 Boys cut and raked grass, dad's painted pitch barrier poles, hedges and rubbish was cleared, new pitch barrier poles where replaced where needed and parents supervised a bonfire to get rid of the resulting debris whist the club's scarecrow watched on trying to keep the pigeons off the re-seeded bits of pitch. 3rd Team Manager Chris Wells said "Great to have people up here helping, what a difference its all made". Club Chair Mandy Kimmins commented"Wow thank you to everyone who turned up and has helped in every way! 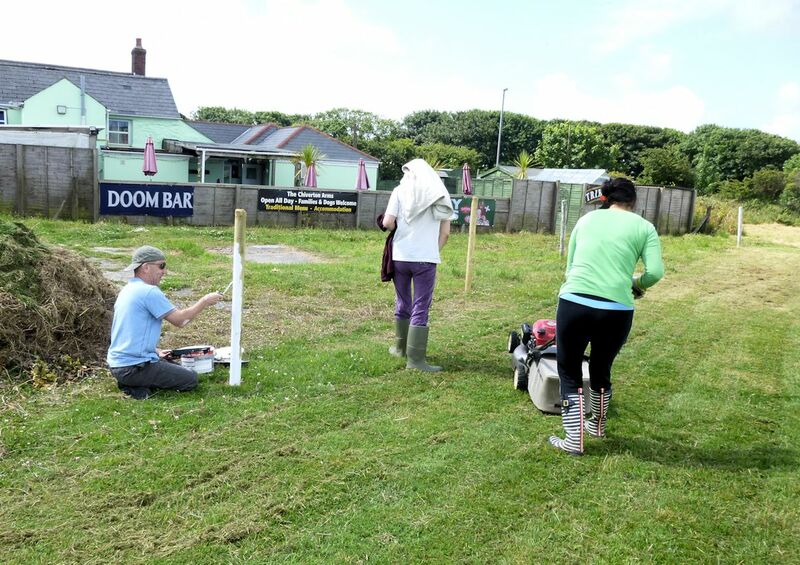 We are limited by both finances and our lease as to how much we can achieve at Chiverton Park, but this amazing volunteer help has really made a huge difference. 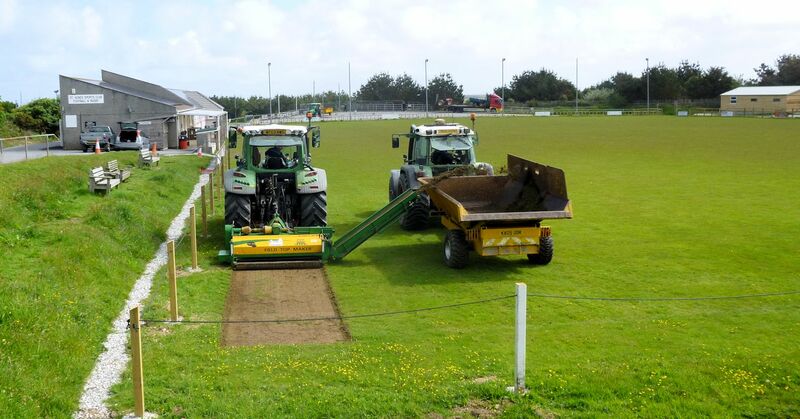 The club is very much committed to improving the facilities at Chiverton this year and are presently looking for a few extra outdoor garden bench type seats if anyone has any spare in good condition please get in touch". Enys Parc, St Agnes has been a hive of activity as St Agnes Sports Club used their recent successful grant funding combined with hard work to best effect. 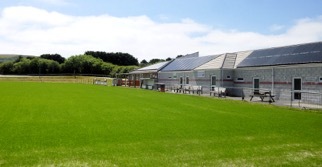 25 KW Solar Panels have successfully been installed by local company Natural Generation following an award of £33,250 from Energy Fund Cornwall and these will help the Sports Club and its member clubs (St Agnes AFC, RFC, Netball, Gig and Boxing & Fitness Clubs) to a greener more sustainable future. Following the floods of the 2013/14 Season St Agnes Sports Club was awarded £22,422 from Sport England Flood Relief Funding to complete drainage work and both restorative and preventative works across Enys Parc. Since being awarded the funding some of the work was completed straight away including the re-opening of land drains around the site and the redirection of surface water including extra soakaways and repositioned drains. At the end of the playing season with the advice and support of W.R. Sandows Sports Ground Contractors both the football and rugby pitches at Enys Parc have received appropriate restorative work to their condition and usage. 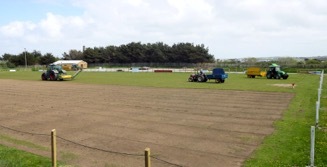 The football pitch was Koro'd with the top layer of flood damaged grass and silt/soil removed. 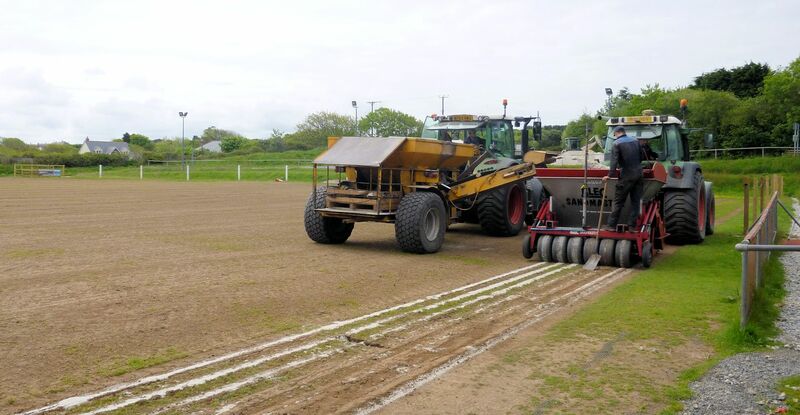 Both pitches have been sand banded, to improve their drainage and future playability, and over seeded to improve their grass coverage. 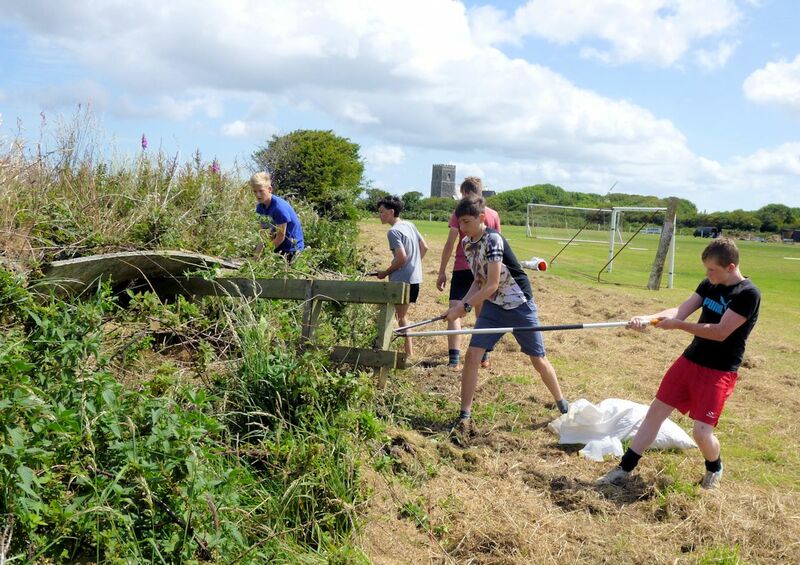 St Agnes AFC have also installed rabbit proofing to their newly restored pitch, replaced and repaired the perimeter fencing and added new roof tops to the dug-outs. 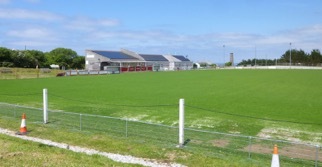 St Agnes Sports Club and St Agnes AFC Chair Mandy Kimmins commented "The transformation at Enys Parc is amazing, our new grant funded changing rooms were only opened last year and now, thanks to further funding, we have solar panels installed and pitch and ground works completed that should ensure more fixtures can be played regardless of the weather. We are really grateful to our all our grant funders and to everyone who has helped us make such dramatic progress. Personal thanks from me to Ian Doble and Neil Cotton for their application and support and Denzil Lobb for his hands on hard work!" Well done to Chris, Mark and others who have been trying to keep on top of Chiverton Park. We have a lot to do within the lease we have and the finances available. All help/volunteers/support appreciated! Today the outside edges around the field was cut which made a real difference. 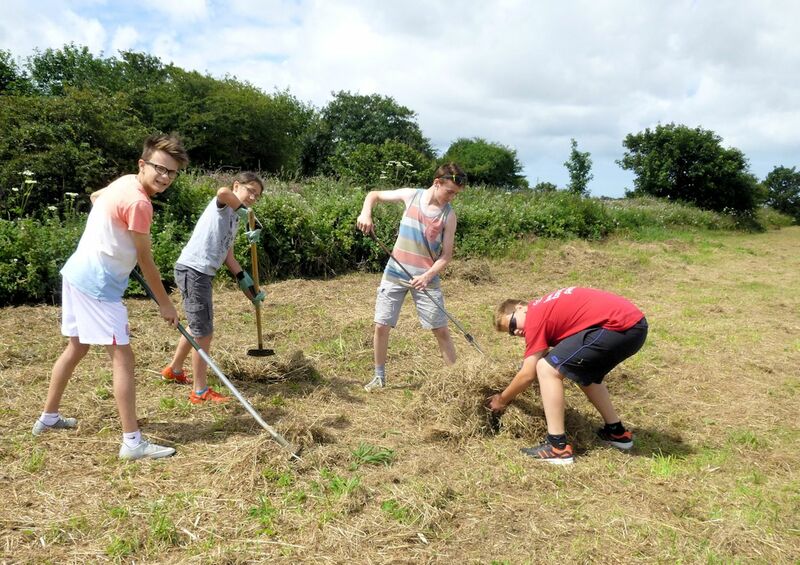 A working party is planned for July with all volunteers welcome. Anyone with time to volunteer to help before then please get in touch with Mandy 07974 370666 or email bolsterpaper@gmail.com Thank you. 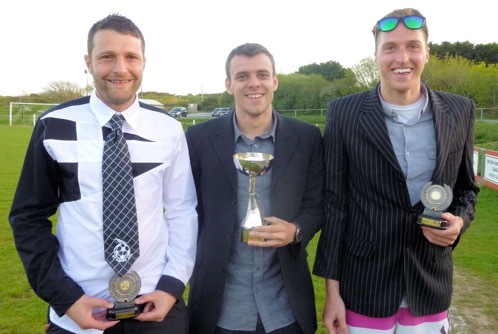 St Agnes AFC hosted their End of Season Presentations Evening at the clubhouse with a pasty and a pint theme. Opening the evening Chair Mandy Kimmins thanked the three men's teams managers and presented flowers to their partners for their hard work and commitment throughout the season explaining "As a 'football widow' to Martyn myself I understand how hard it is supporting a men's team football manager, especially when that Saturday result goes the wrong way!" Mandy then presented the Chairman's Cup for outstanding service to the club to club Treasurer Denzil Lobb and the Club Loyalty Award to committee member Colin Butson for his years of dedicated commitment to St Agnes AFC. 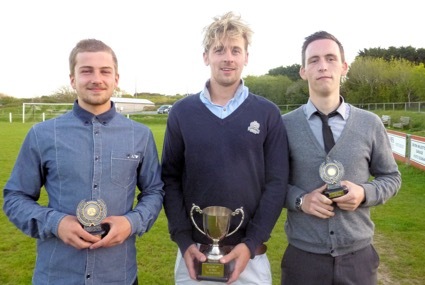 Team managers Martyn Kimmins 1st Team, James Thomas, Reserves and Chris Wells, 3rd team then presented their team trophies. St Agnes 1st team Players Player was James Springall who also collected the 1st Team Supporters Player award, Players Loyalty Award 1st team went to Dave Goundry, Most Improved 1st Team Curtis Pay and Best Newcomer to St Agnes AFC 1st Team was shared between TJ Wilson and Martin Bennetts. Summing up the evening Mandy said "We are a great club and have fielded 16 teams this season with more planned for next year. Thank you to everyone who has supported St Agnes AFC in every way this year! 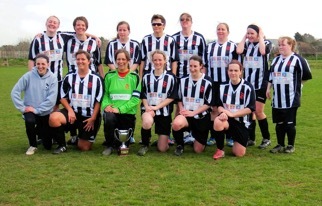 Following an excellent meal at Salt in Hayle St Agnes AFC Ladies held their end of season presentations evening. 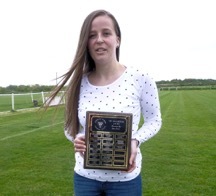 Top goal scorer (overall including cups) was Tracey Burley with 22 goals in total, Suzanne Hurrell being the CWFL League Top Goal Scorer with 19 League Goals. 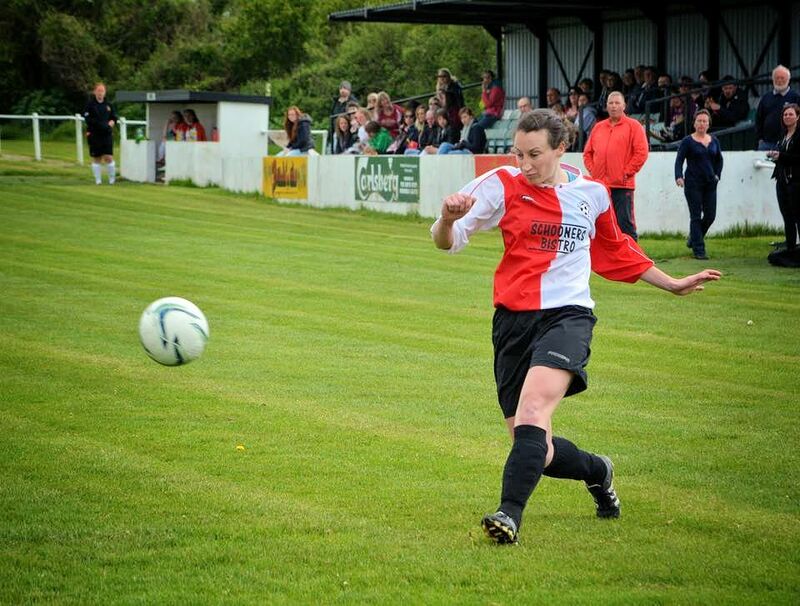 Captain Julie Windram was Manager’s Player with Helen Jones Most Improved. Best New Comer to the squad was Suzanne Hurrell with Claire Baker receiving Coach’s Player and Player's Player. 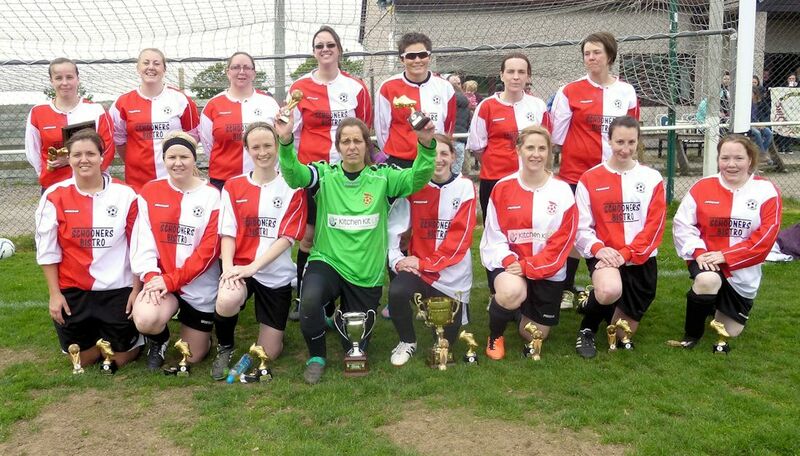 St Agnes AFC Ladies reached their 4th League Cup Final facing Illogan Ladies at Hayle FC on Sunday 17th May. 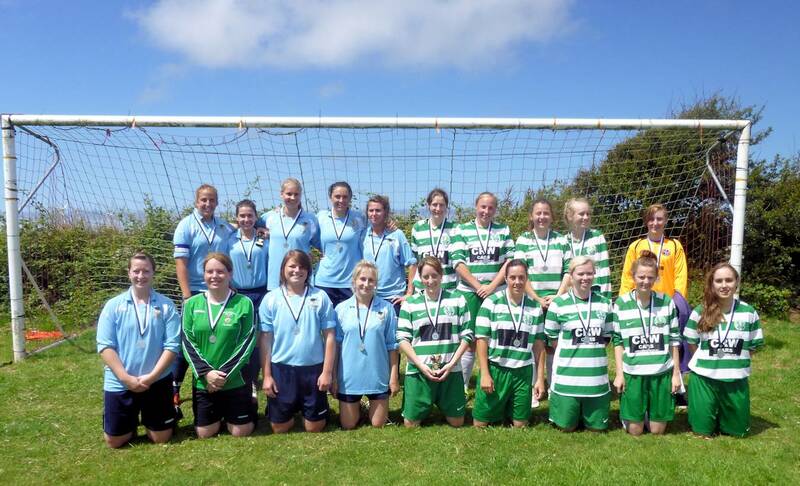 A fantastically well battled fixture played in god spirit saw Illogan win 3-0 and St Agnes runners-up. On Sunday 10th May 2015 St Agnes U10's travelled to Home Park to play in Plymouth Argyle Community Trust's Community Youth Cup. 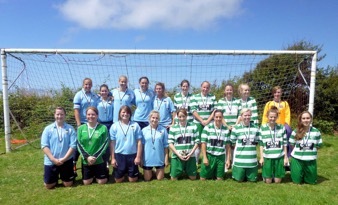 A total of 20 teams entered the tournament from across Cornwall and Devon. 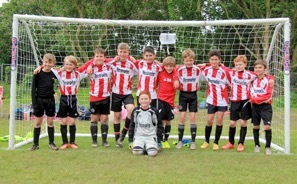 In the group stages our Under 10's team were top of the table, progressing through to the knock out competition finals. We won our quarter final game 3-1 and, after drawing 0-0 in the semi finals, we lost on penalties 2-1 to the eventual winners, Braunton. 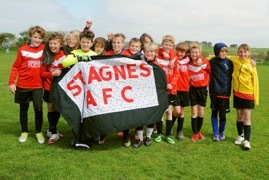 It was an absolutely fantastic day where the boys played brilliantly and represented St Agnes AFC in the friendly and supportive manner in which they always do. Manager and parents were all really proud! 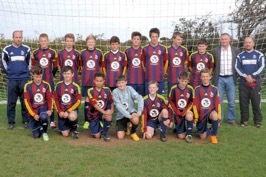 St Agnes went into this Kernow Youth Football League Cup Final game knowing they would have to be at their best taking on a Newquay side that had gone the entire season unbeaten. The first half was hard fought with both sides creating decent chances. It remained 0-0 at half time with both keepers pulling off important saves to keep the game on a knife edge. Early in the second half some solid St Agnes defending saw the ball fall to Josh Hubbard in midfield. Josh turned and sent a defence splitting through ball for Andrew Govan to chase. Andrew showed excellent composure to dink the ball over the advancing keeper to give St Agnes a deserved lead. You could sense the increased confidence and enthusiasm is the St Agnes team as they dominated the second half scoring two further goals. Jacob Milligan won the ball inside his own half and dribbled to the edge of Newquay’s penalty area drawing all of the defenders to him. Showing great skill and awareness he laid the ball back for Lewis Hayes to place a beautiful lob over the keeper from 25 yards. Lewis returned the favour with a ball down the left wing and Jacob rounded off his man of the match performance by holding off two defenders and curling a superb shot into the top right hand corner of the net. 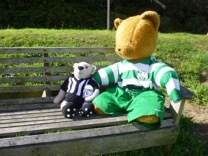 Some late Newquay pressure did see them earn a penalty. However, Guy Albury in the St Agnes goal was not prepared to give up his clean sheet. Diving full length to his right he got both hands to the ball to make an outstanding save. It was a real team performance from St Agnes with every one of the 16 man squad playing their part in a much deserved 3-0 win. St Agnes player Jacob Milligan was awarded Man of the Match by the match day officials and all the team are photographed with their Cup and Medals. 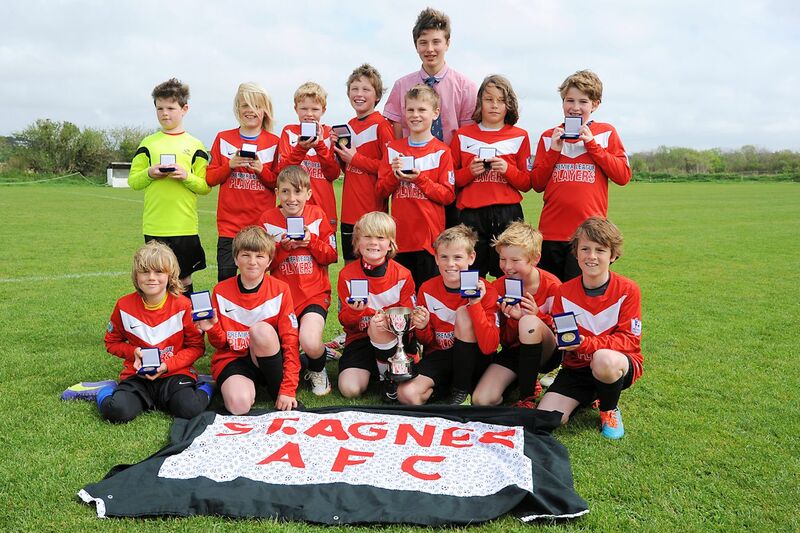 St Agnes AFC Under 11's played Hayle Under 11's in their Premiership League Cup Final on Sunday as part of the KYFL Cup Final’s Day hosted at Hayle FC. A superb passing match of football from both teams was well supported by their parents, families, friends and club representatives from both clubs. The half time score 0-0 demonstrating how close the fixture was. Early into the second half following a handball in the area St Agnes Captain Tom Dolan scored the opening goal from the spot. Gabriel Bradbury scored a second for St Agnes and Tom Dolan secured the win with the third goal leaving the score 3-0 to St Agnes. A great representation of football from both sides! 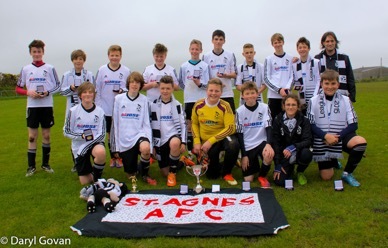 St Agnes Manager 17 year old Curtis Pay said " I am so pleased for my team they have been fantastic all year, we are all off to Smokey Joe's to celebrate!" 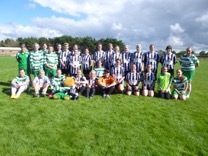 Sunday 12th April saw the culmination of the 2014/15 League fixtures for the CWFL as St Agnes AFC Ladies hosted Illogan Reserves at Enys Parc. A keenly contested fixture saw Illogan win 3-0 to bring their points equal with St Agnes and therefore become League Winners on goal difference. League Chair Mandy Kimmins presented both teams with their cups and said " It has been fantastic to see two full squads of ladies players here today with a great crowd of supporters of ladies football watching. 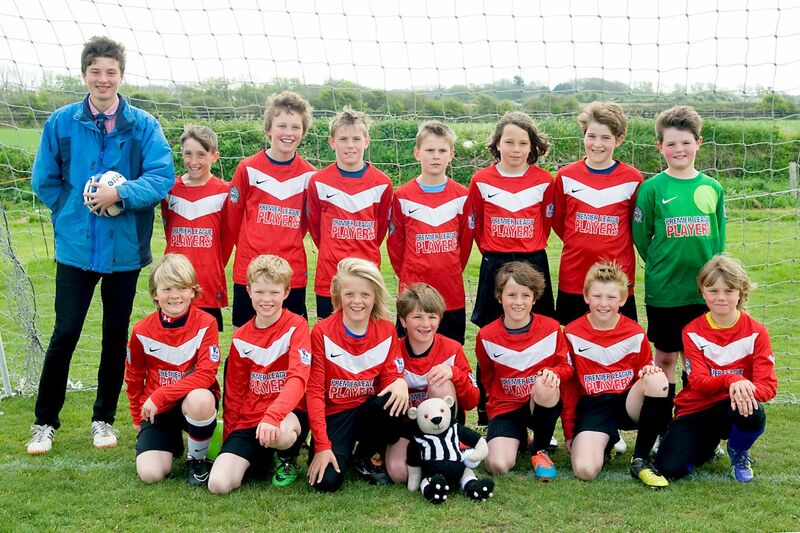 Congratulations to Illogan on their success and to St Agnes on a great season. It’s tough coming runners-up on goal difference!" 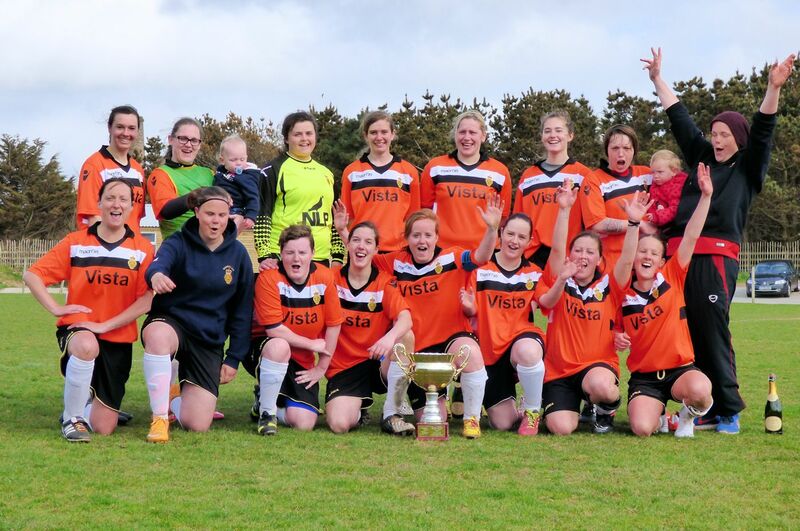 The CWFL will now finish their Cup Round fixtures and will host its League Cup and Supplementary Cup Finals at Hayle FC on Sunday 17th May 2015. Photographed are Steve Nute who played in goal for Exeter City in 1980 at the opening fixture of Enys Parc, St Agnes with Martyn Kimmins who featured in goal for St Agnes in the same match. The result of the fixture whilst Martyn was in goal was 2-1 to Exeter - the final result 7-1 after Martyn's substitute Trevor Harris replaced him 20 minutes before the end. The photo the 2 keepers are holding marks the occasion! Steve Nute is now refereeing at Peninsula League level whilst Martyn in in his 17th year as manager of St Agnes AFC 1st team.